I want to encourage you to have a look at my latest post on the Holy Land Studies Blog which replaced this blog about two years ago. In the next few blog posts, I will be doing something a bit different than I have in the past. Rather than addressing a Scriptural question about geography as I typically have, my aim will be to introduce you to a series of five sites that are interconnected thematically. I call this series Let’s Take Five. The themes linking each series of five sites will be varied. For example, I will chose sites that have some central element – be it chronological, regional, functional or visual – in common. For those who have not yet checked out my Holy Land Studies blog yet, I want to encourage you to have a look at my latest post on the subject of the Sign of Jonah. Just click on the blue link to read. As always, thanks for reading. Loyal readers, I apologize for not posting anything in the past few months. Part of the reason for my absence has been a shift in my work. Since the end of the summer, I have been doing a lot less tour guiding and a lot more content writing for eTeacher Biblical. This is a great company that offers online courses about various aspects the Bible: languages, history and, now, geography. 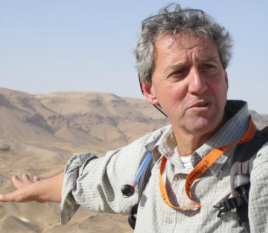 As the head of the Holy Land studies department at eTeacher, I have developed a new course called Exploring the Land of the Hebrew Bible and a new blog called Holy Land Studies. The course is only available to those who register, but the blog is free. I will be regularly posting materials. Please have a look. From time to time, I will post things here as well. As always, thank you for reading! 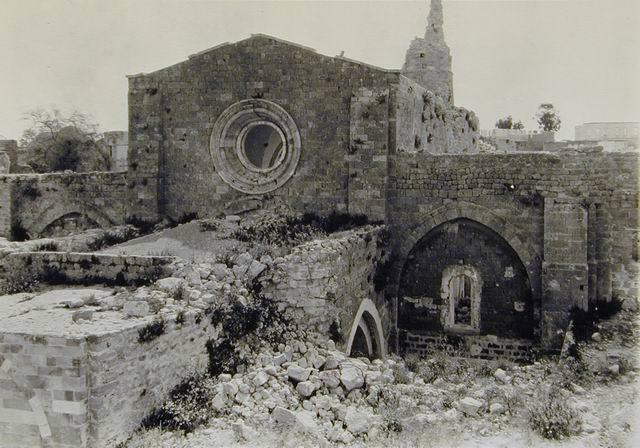 The Great Mosque of Gaza, originally a Crusader Church. The photo was taken after the British bombardment of Gaza in 1917 during WWI. It's September 1st, and although there is nothing around here even close to "a touch of fall in the air", children have finally gone back to school. That means the summer is officially over. Finally. It has been another long and deadly summer here in the Middle East. Thankfully, I was not personally affected very much by the recent war in Gaza. Jerusalem, where we live, is too far from Gaza (about 60 miles as the crow flies) to be a real target for Hamas rockets, although there were a handful of attempts that the Iron Dome intercepted. Mostly, this war impacted my livelihood, as almost all tour groups cancelled their July/August trips. They actually tell you this in the tour guide course: make sure you have a secondary source of income to fall back on because when the security situation is not calm, tourism is the first thing to fall away. This was the first time I really saw it happen. For the past three years things have been quiet and Israel has enjoyed record-breaking numbers of tourists. 2014 was on track to be the highest grossing year to date for the tourism industry. All this abruptly ground to a halt on July 1. It is amazing how quickly the Old City of Jerusalem empties out when things get bad - or more precisely, when rumor has it that things are about to get bad. On June 12 the three boys were kidnapped in Gush Etzion. 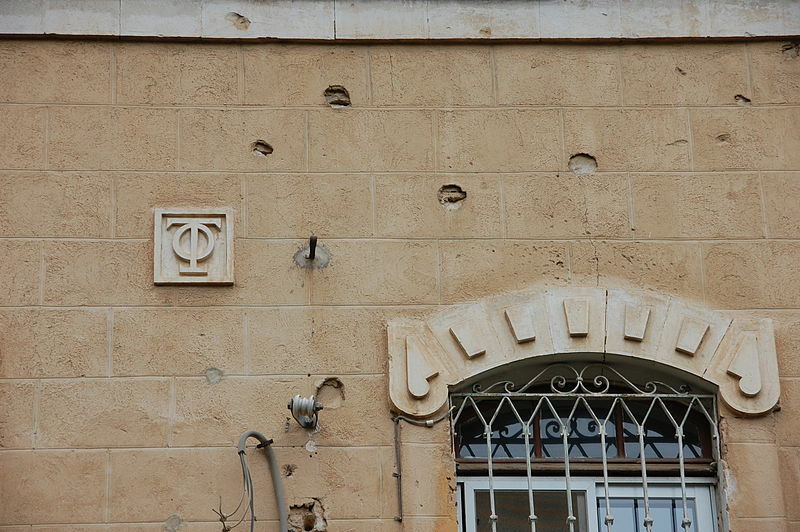 On July 1 their bodies were found in Halhul, and the next day Mohammed Abu Khdeir was murdered. Right then and there rioting began in Shuafat which spread to the rest of East Jerusalem. Since then there have been no lines at any of the major tourism sites. The markets in the Christian Quarter are deserted. I never saw the Church of the Holy Sepulchre so quiet. Over the past two months things never actually "got bad" in Jerusalem, but the tension down south in and around Gaza was enough to keep almost all tourists far away. As many pundits have noted, despite the heavy fighting and appalling loss of life on both sides, this time around the "real" war was fought outside the Holy Land, on social media with hash-tags and YouTube videos. I rarely partake in online political debates, and am not a big social media user. This summer was no exception. I also rarely discuss political affairs on this blog as it is really meant to be limited to historical/philological matters. However, since so many visitors to this country whom I teach and guide eventually ask me, "so what do you think about the political situation here? ", I feel as though I should say something. Like everyone, I read a lot of opinion pieces published over the last two months, and most of them left me with my head spinning. One, however, stands out in my mind as particularly lucid: "An Insider's Guide to the Most Important Story on Earth". It is written by Matti Friedman, a fairly young journalist who over the past ten years has become one of the most eloquent observers of current affairs in the Middle East. Please have a look. And when you are done with it, go read his excellent book, The Aleppo Codex. 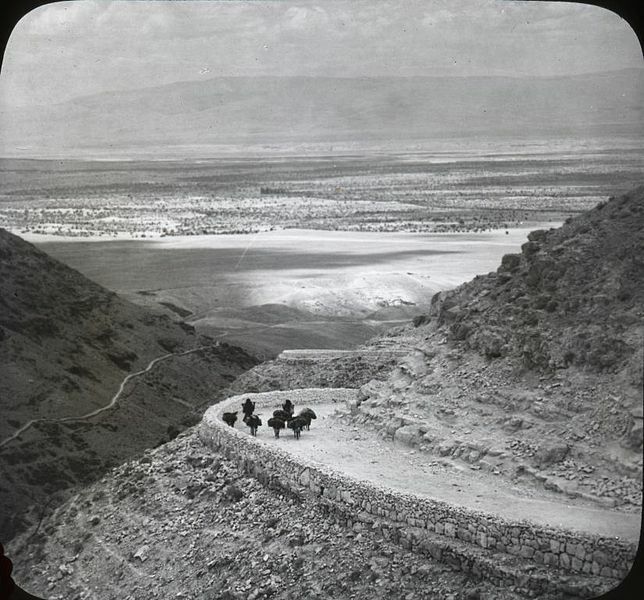 Early 20th century travelers on the ancient road from Jerusalem to Jericho, above Nahal Perat (Wadi Qelt). In the background are the Jordan Rift Valley and the mountains of Moab. One thing that makes the Gospel of Luke different from the other NT gospels is the central role it gives to the city of Jerusalem and its temple. Luke -- more than Mark, Matthew and John -- considers the city as much of a protagonist as Jesus himself. This certainly is due to the fact that Luke is writing in the years immediately following the destruction of the city by the Romans in 70 CE and is trying to invest this cataclysmic event with theological meaning. Luke's narrative is punctuated by four apocalyptic oracles of judgement predicting (a posteriori) the future destruction of Jerusalem (13:32-35; 19:41-44; 21:20-24; 23:27-31). The last of these is Jesus' famous utterance to the daughters of Jerusalem ("do not weep for me, but weep for yourselves and your children") commemorated at the 8th Station of the Cross. Only Luke's gospel incorporates certain traditions that take place in the Jerusalem temple, for example: the presentation of Jesus to the Lord (Luke 2:21-38) and twelve year old Jesus teaching the temple elders (2:41-52). Luke is also the only gospel that closes in Jerusalem: "they returned to Jerusalem with great joy and they were continually in the temple blessing God" (24:52). Most readers don't realize that the heart of Luke's gospel (chapters 9-18) is actually a travel narrative. Many of Jesus' most famous teachings are delivered on the road to Jerusalem. Luke's gospel is the most teleological of the four in the sense that the reader is constantly being reminded that Jesus must die in Jerusalem in order for his earthly ministry to make sense: "it is impossible for a prophet to be killed outside Jerusalem" (13:33). Although Jesus does not enter the city until chapter 19, we are given short hints beginning as early as chapter 9 that the journey southwards is underway (Luke 9:51; 13:22; 17:11; 18:31; 19:11, 28). Peter Walker correctly says that for Luke, Jerusalem is the "pivot around which the narrative turns" (Jesus and the Holy City, 58) and S. G. Wilson similarly calls Jerusalem "the central bearings on which the double work swivels" (Gentile Mission in Luke-Acts, 95). What they both mean is that the whole thrust of Luke's first volume (the Gospel of Luke) is to get to Jerusalem; the thrust in his second volume (Acts of the Apostles) is to spread the good news from Jerusalem to "all Judea and Samaria and to the ends of the earth" (Acts 1:8). Ἐγένετο δὲ ἐν τῷ συμπληροῦσθαι τὰς ἡμέρας τῆς ἀναλήμψεως αὐτοῦ καὶ αὐτὸς τὸ πρόσωπον ἐστήρισεν τοῦ πορεύεσθαι εἰς Ἰερουσαλήμ. What interests me most here is the phrase rendered by this English translation (NIV) as “he resolutely set out for Jerusalem”. The Greek original puts it a bit differently. Literally it says: “he solidified his face for the journey to Jerusalem.” Other English translations such as the NRSV make more of an effort to retain the original: "he set his face to go to Jerusalem". Perhaps the translator of the NRSV is informed by a similar Hebrew phrase וישם את פניו ("he placed his face") which appears frequently in the OT (e.g., Gen 31:21; 2 Kgs 12:18; Dan 11:18). However even "set his face" does not capture the full force of the Greek original. The word "solidified" in Greek is ἐστήρισεν (estērisen), an aorist conjugated form of the verb στερεόω (stereoō), “to strengthen”. This in turn derives from the adjective στερεός (stereos), which means “firm” or “stiff”. This Greek word, by the way, is the basis for the modern term stereo for a sound system which uses two or more separate channels to produce a fuller distribution of sound. 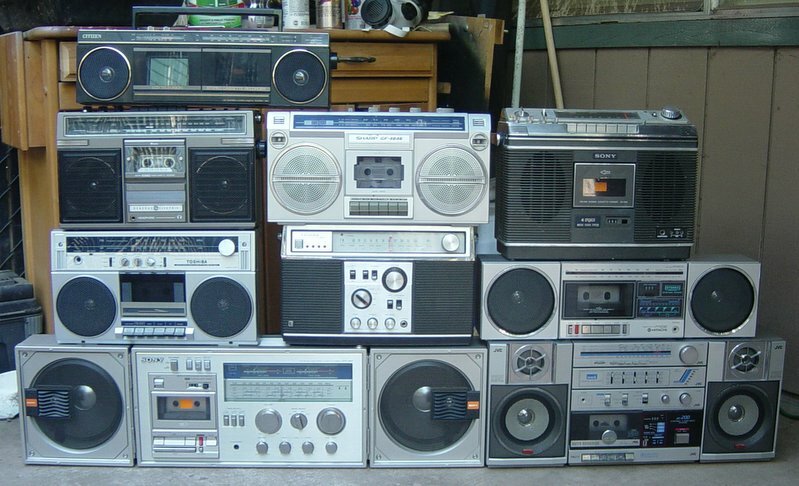 This sound is regarded as more “solid” than a single-channel sound system. This Greek adjective is also the root of the word stereotype, literally a “firm" (στερεός), preconceived "image” (τύπος) that we have about certain groups of people. The wonderfully vivid language of “making one’s face solid” used by Luke is meant to illustrate Jesus’ determination, not only to travel the 170 km by foot, but to eventually suffer persecution and death in Jerusalem. Luke is apparently particularly fond of this word because he uses it three times in Acts both to describe Peter's healing of a crippled beggar "made strong" (Acts 3:7, 16) and the "strengthening" of the church (Acts 16:5). But why does Luke chooses to use word face as opposed to heart or mind? The face is not usually the part of the body we associate with decision-making or resolve. Luke uses the face because he wants to make clear that as a observant Jew, Jesus literally faces Jerusalem when he prays. The Greek πρόσωπον is most likely composed from two words: "on the side of" (πρός) and "eye" (ὢψ). In the following verses Jesus is spurned by the Samaritans “because his face was set towards Jerusalem” (9:53). The Samaritans who sanctify Mt Gerizim in place of Jerusalem were not interested in fraternizing with Jews like Jesus. 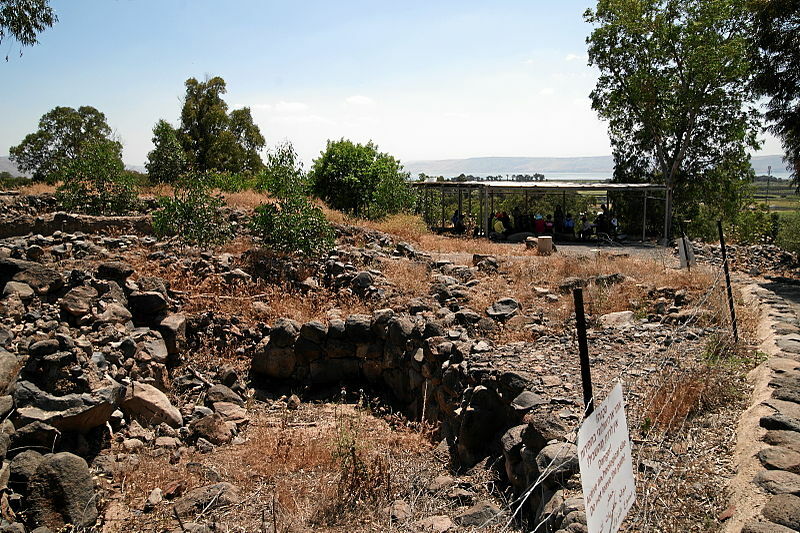 Long-standing hatred between the two groups had been seriously aggravated by the razing of the Samaritan temple on Mt Gerizim by John Hyrcanus I in 128 BCE. 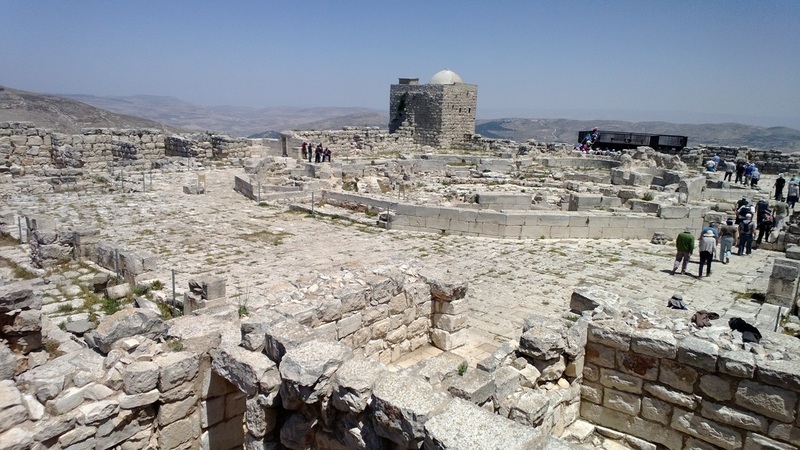 Foundation walls of the Byzantine octagonal church of the Theotokos on the summit of Mount Gerizim. The first century Jewish historian Josephus tells the story of Samaritans in the village of Gineae (modern-day Jenin) killing Galilean Jews who were on the road to Jerusalem. He writes: "It was the custom of the Galileans, when they came to the holy city at the festivals, to take their journeys through the country of the Samaritans" (Ant. 20.118). Due to this hostility, Jews for the most part avoided entering Samaria, the northern part of Israel’s hill country, even though this was the shortest route (approximately three days). This made Jesus’ journey to Jerusalem much more difficult. 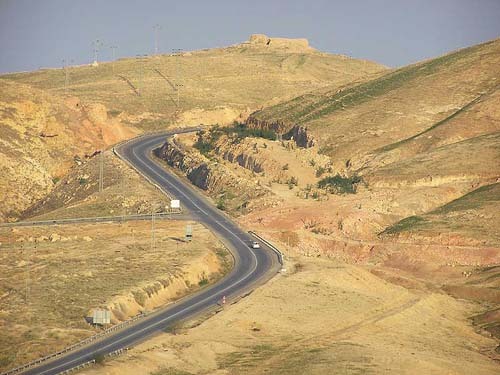 Rather than walk along a natural plateau -- the watershed road that runs north-south through the hill country -- Jesus had to descend into the trough-like Jordan Rift Valley. This in turn required walking back up the steep ascent of 1200 meters from the city of Jericho to Jerusalem. 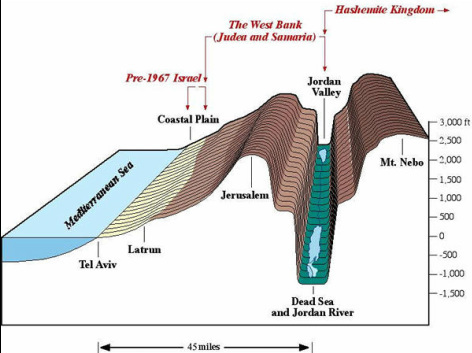 Rather than walking south through Samaria and Judea upon the "spinal column" of the country (brown), Galilean Jews would have descended into the deep Jordan Rift Valley (green), only to climb back up once they got as far south as the Dead Sea. 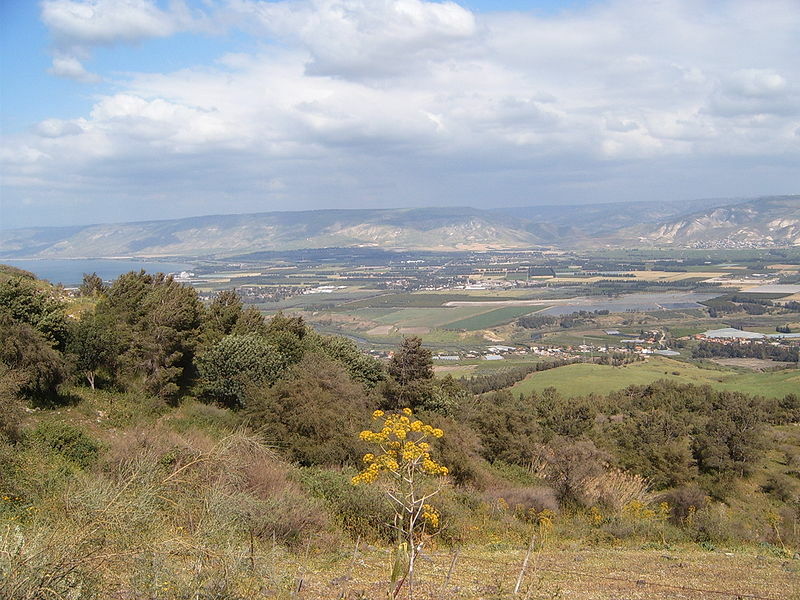 A view of the Jordan Valley just south of the Sea of Galilee, near Bet Yerah. At this northern portion, the descent into the valley is rather gradual. 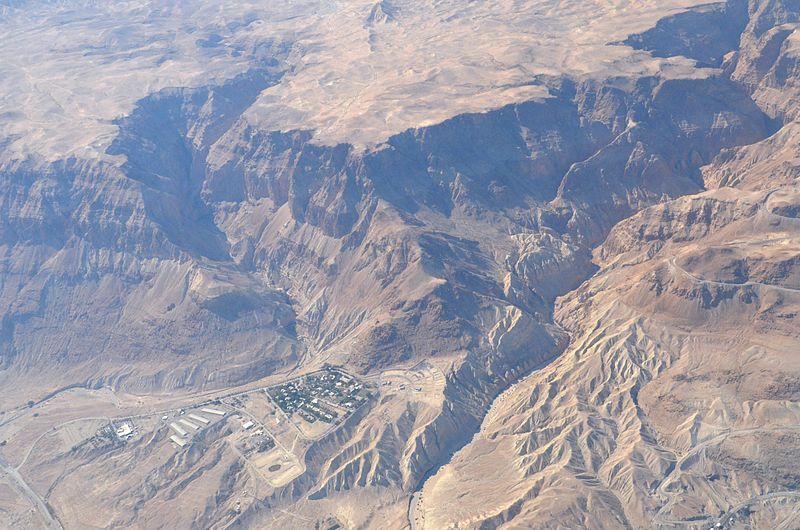 An aerial photograph of the steep cliff rising up abruptly from the Jordan Rift Valley, 20 km east of Bethlehem. The canyon that cuts through the escarpment is called Nahal Darga (Wadi Darajeh). The elevation difference of 1200 meters between the Dead Sea (-400 m) and the Jerusalem hill country (+800 m) covers a mere 20 km. US ambassador to Israel, Daniel Shapiro visits a matzah bakery in Meah Shearim, 2012. For the Lord will pass through to slay the Egyptians; and when he sees the blood on the lintel and on the two doorposts, the Lord will pass over the door, and will not allow the Destroyer to enter your houses to slay you. Not through and angel, not through a seraph, not through a messenger, but the Holy One Blessed be He, he alone in his glory [brought us out of Egypt]. Go through the city, through Jerusalem, and put a mark upon the foreheads of the men who sigh and groan over all the abominations that are committed in it. The phrase “put a mark” in Hebrew is התוית תו, literally: “entav a tav”. The final letter of the Hebrew alphabet, tav, looks like this today: ת. But in ancient Hebrew it was an X. So the mark that Ezekiel is commanded to place on the foreheads of those who are to be spared is a simple X. In the Greek alphabet - which like the Hebrew alphabet is derived from Phoenician – the final letter is known as tau and looks like this: T, an X turned on its side with one arm removed. The verse from Ezekiel was quoted by Pope Innocent III at the Fourth Lateran Council (1215) as part of his proclamation of the Fifth Crusade. The tau has exactly the same form as the Cross on which our Lord was crucified on Calvary, and only those will be marked with this sign and will obtain mercy who have mortified their flesh and conformed their life to that of the Crucified Savior. St. Francis of Assisi, founder of the Franciscan monastic order, was apparently present, and from this point on he used the letter tau as his personal signature. Today the tau cross is a popular Franciscan symbol worn by many Catholics. This is interesting because when one walks around Israel today, one sees many taus but none of them belong to the Franciscans. The letter tau (together with phi) is the distinctive symbol of the Greek Orthodox Patriarchate all over the Holy Land. It stands for φύλακες τάφου – the guardians of the tomb – the name of the fraternal order of priests who administer the sacred sites owned by the Greeks in the holy land. And there are many! 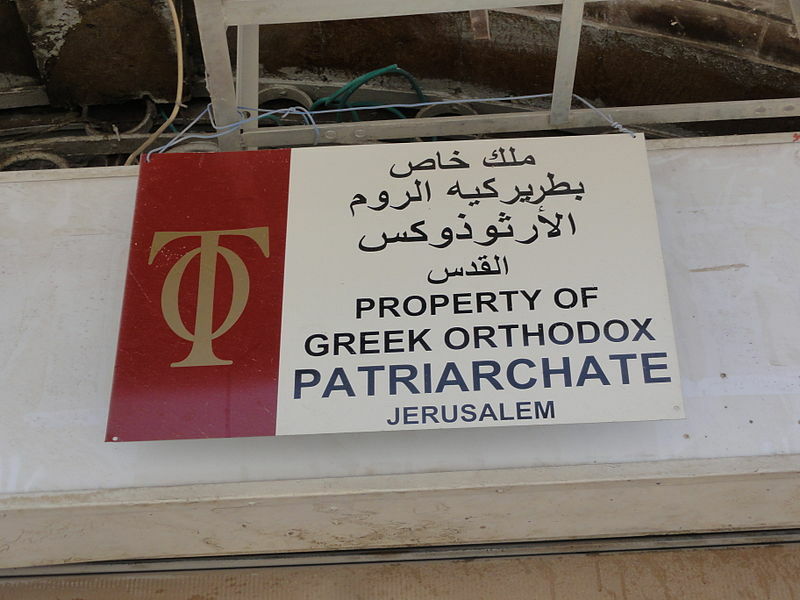 The Greek Orthodox Church is the largest private landowner in the State of Israel. 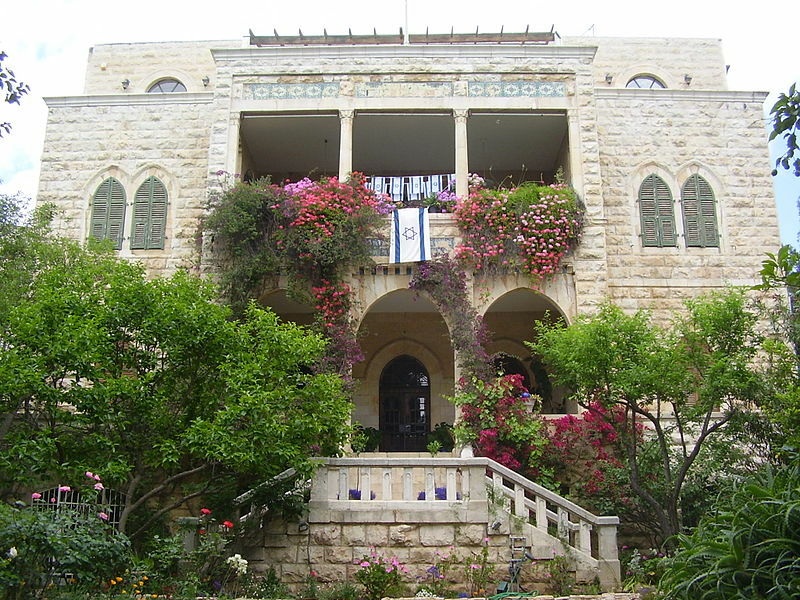 Large portions of the modern city of Jerusalem, including the upscale neighborhoods of Talbiyeh and Rehavia, are still owned by the Greek Orthodox and have been leased to State of Israel long-term. A major question on the minds of many is what will happen once these leases expire. the seal of the Franciscans, which contains the crossed arms of Jesus and Francis, both of which contain stigmata. Above, the holy spirit personified by a dove emerges from the the divine crown of God the Father. Below, a palm frond (triumphal entry on Palm Sunday) and an olive branch (the arrest in the Garden of Gethsemane). 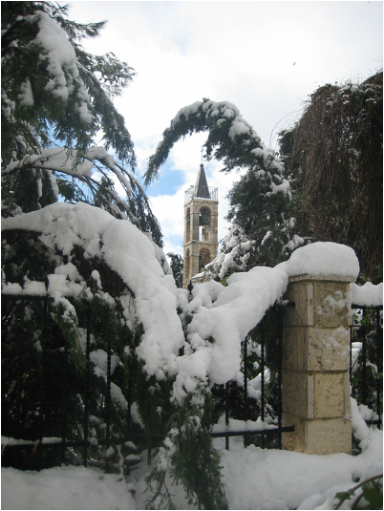 St. Saviour, Jerusalem, the headquarters of the Franciscan C.T.S. the Jerusalem cross, which contains five crosses symbolized the five wounds that Jesus sustained during the crucifixion. This is also known as the Crusader cross because it was the coat of arms that the latter emblazoned on their shields. 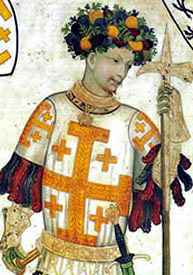 Godfrey of Bouillon, leader of the First Crusade and the first Crusader king of Jerusalem (1099-1100). He refused to wear a royal crown where his Lord had worn a crown of thorns. 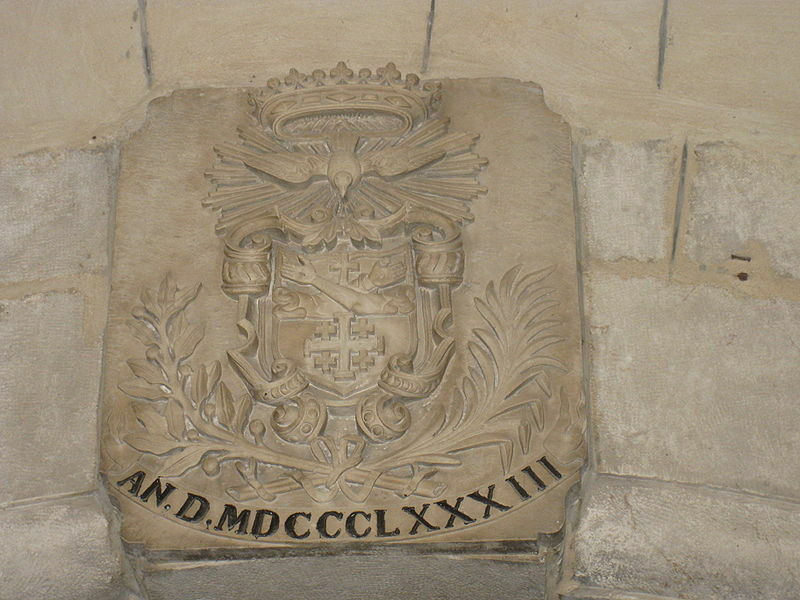 His title was the Advocate of the Holy Sepulchre. These two orders (the Latin C.T.S. and the Greek Τ.Φ.) responsible for overseeing the pilgrimage sites in the holy land both regard the Church of the Holy Sepulchre as their most essential responsibility. I would like to suggest that in choosing these names, both were informed by the scene of the guards at the tomb in Matthew 27:62-65. Following the burial of Jesus, the Jewish authorities are worried that his body will be stolen by his followers, who will then tell everyone that he has risen from the dead. Pilate tells them: "you have a guard of soldiers; go make [the tomb] as secure as you know how." In this passage the tomb of Jesus is naturally called a τάφος, the very word which appears in the name of the Greek brotherhood. The guard is referred to as a κουστωδία. This is not really a Greek word, but a loanword from the Latin custodia. Presumably, Matthew did not use the Greek φύλαξ in order to give the passage a more authentic Roman feel since Pilate is speaking about Roman soldiers. Incidentally, some of the Greek manuscripts, including Codex Bezae, contain the word φύλακας, but this is not the accepted reading. Perhaps this is the reason that Pope Clement VI chose the title Custodia Terrae Sanctae for the Franciscans in the 14th century. The important point is that both of these fraternal orders of guardians see themselves as a corrective to the shoddy guardianship exemplified by the Roman soldiers in the gospel account. The Roman soldiers are both weak (in Mt 28:5 they shake with fear and become "like dead men") and corrupt (in Mt 28:11 they accept a bribe from the Jewish authorities to claim that the body of Jesus was stolen). Today, these Greek and Latin priests are trained to be proper guardians. 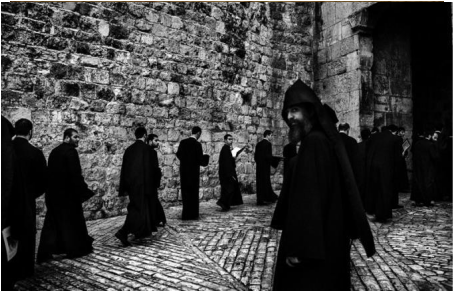 Representatives of both of these orders are constantly present in the Church of the Holy Sepulchre making sure that nothing happens their respective property. This sense of constant vigilance also links us back to the Passover narrative with which we began. In Exodus 12:42 the night of 15th of Nissan is referred to as "a night of vigil (ליל שמורים) to bring them out of the land of Egypt," which the LXX translates this as προφυλακή. Would it be an overstatement to say that in such a contested site as the Church of the Holy Sepulchre, every night is a night of vigil? 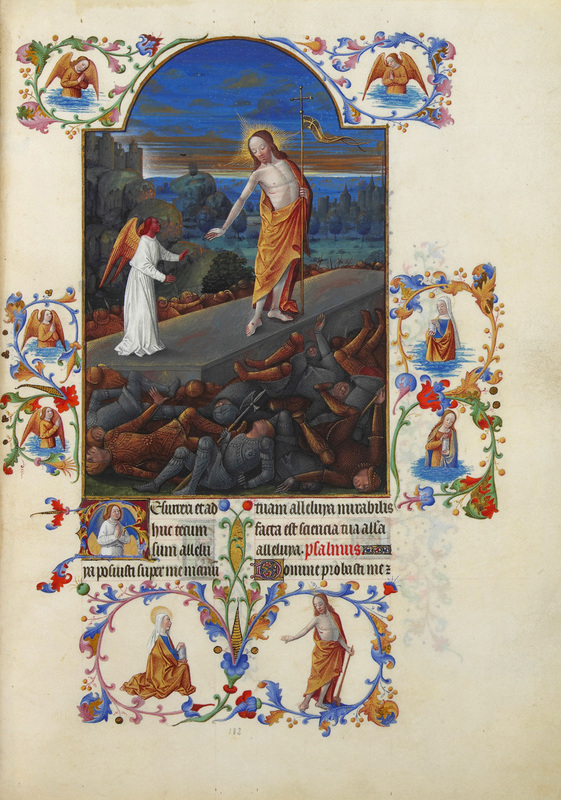 The Resurrection of Christ, from Les Très Riches Heures du duc de Berry, ca. 1411. Note the sleeping guards around the tomb, a common feature of paintings of the resurrection. How did the Field of Blood get so bloody? The New Testament contains two different versions of Judas Iscariot's demise: suicide by hanging (Matthew 27:3-10) and spontaneous gastrointestinal explosion (Acts 1:18-19). Despite the significant differences between these two versions, both associate the death of Judas with a place in Jerusalem called Akeldama, the Field of Blood. Since the fourth century this name has been connected with a plot of land south of the Old City, in the Hinnom Valley. Today it is the site of the Greek Orthodox monastery of St Onuphrius (pictured above), which has occupied the site since 1874. Death hangs heavy in the air here. The whole area in and around the Hinnom Valley (aka Gehenna) is full of burial caves cut into the rock face. Many of these belonged to the aristocracy of Jerusalem in the First and Second Temple periods. 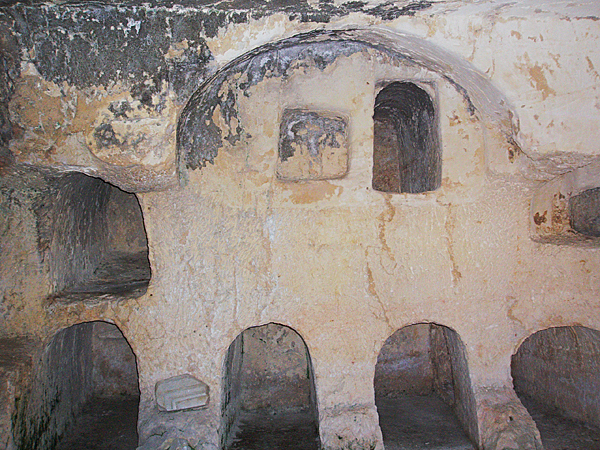 The site of Akeldama contains Jewish burial caves from the Hellenistic era and was later used as a charnel house during the Crusader period. Let's have a closer look at these two versions of the death of Judas in the NT. In Matthew's version, on the morning of the crucifixion (Friday), Judas regrets having betrayed Jesus and tries to return the 30 pieces of silver to the Temple authorities. They refuse to accept the money, claiming that it is too late: Jesus has already been arrested, tried by both the Jews and Romans and condemned to death by Pilate. This is your problem, not ours, they tell him. Dejected, Judas hangs himself (in an unspecified location). The money that he relinquished is then used by the Temple authorities to purchase a field known as the Potter's Field, which becomes a burial ground for foreigners. It is clear that what is driving this story is Matthew's desire to cite yet another verse from the Old Testament in order to show that the gospel fulfills prophecies in the Jewish Scriptures. Here, the verse cited is Zechariah 11:13, with some additions from Jeremiah 18:2; 32:7-9. So according to Matthew's gospel, Akeldama got its name after it was purchased by the priests using the money that Judas earned by "betraying the innocent blood" of his teacher Jesus. καὶ πρηνὴς γενόμενος ἐλάκησεν μέσος, καὶ ἐξεχύθη πάντα τὰ σπλάγχνα αὐτοῦ. The most puzzling term here is πρηνὴς ("headfirst", "facedown"), from which we get the English word "prone". To be precise, the Greek text never says Judas fell, only that he "became head-first" or "became prostrate" (πρηνὴς γενόμενος). Frankly, this does not make too much sense (why would Judas suddenly prostrate himself with his face to the ground?). This is why most translations say that he "fell headlong" i.e., he fell on his face. Some readers assume that this is a non-explicit reference to Judas hanging himself (presumably from his feet), an attempt to harmonize Matthew's version with this one. According to Glenn Most ("The Judas of the Gospels and the Gospel of Judas"), the fact that Judas is prostrate on the ground is meant to depict him as a snake (cf. Gen 3:14), an image meant to underscore his role as Satan. "...and her belly will be swelled up and her thigh will fall to pieces, and the woman will be a curse among her nation." When we compare Acts 1:18-19 to Numbers 5:11-31, we see a similar progression. First, the woman comes before the priest. Judas does this when he agrees to betray Jesus to the chief priests (Lk 22:3-6). Second, the woman swears an oath that she is innocent. Judas does this when he declares "surely not I, Rabbi" at the Last Supper (Mt 26:25). Third, the woman drinks a concoction. Judas drinks from the wine at the Last Supper. Fourth, swelling takes place in the belly of the woman. The same thing happens to Judas. Note the use of the verb "to swell up" (πρήθω) in both passages. Fifth, a violent rupture takes place which causes the contents of the woman's belly (thigh, womb) to become displaced. In the case of Judas, his intestines burst out. Finally, death ensues. In the case of the woman, it is her fetus that dies. In the case of Judas, he himself dies. What these two versions of Judas' death have in common is that they are aetiological in nature. That is, they are intended to explain the origin of a name, in this case a place name (toponym). 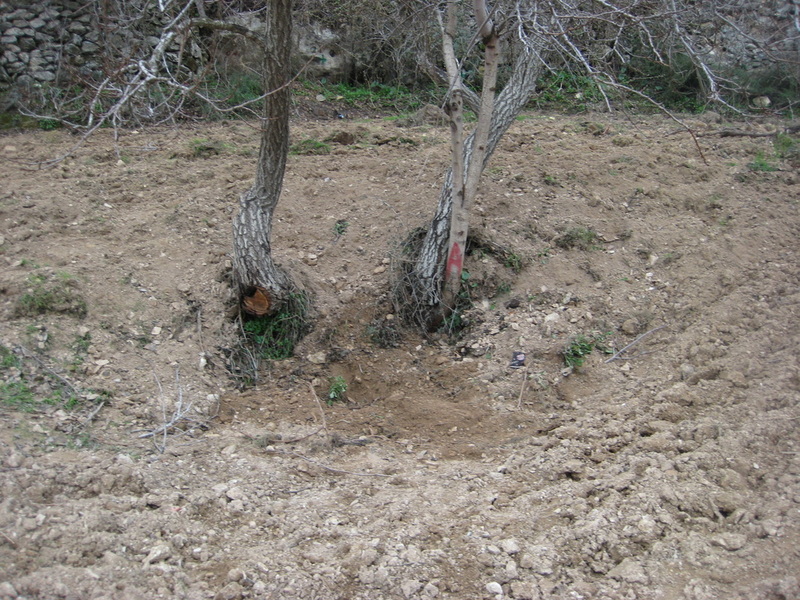 The name of the place associated with these two stories, Akeldama (Greek - Ἁκελδαμάχ) comes from two Aramaic words, field (חקל) and blood (דמא). Presumably, the original reason for this name was the reddish color of the soil. This is somewhat similar to the name of the "red ascent" (Maale Adumim) and the "red inn" (Khan el Ahmar) which are located on a stretch of the Jericho-Jerusalem road famous for its exposed pink limestone (see picture below). Both stories of the demise of Judas make the case that redness of the soil in Akeldama is due to the spilling of human blood; for Matthew it is Jesus' blood, while for Luke it is Judas' blood (not to mention his intestines). 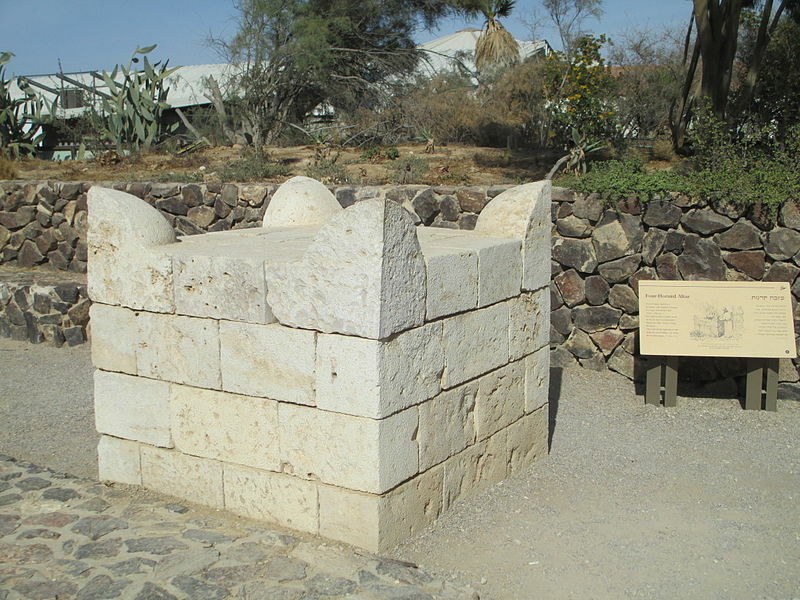 A reproduction of a Proto-Aeolic capital at Ramat Rahel, between Jerusalem and Bethlehem. 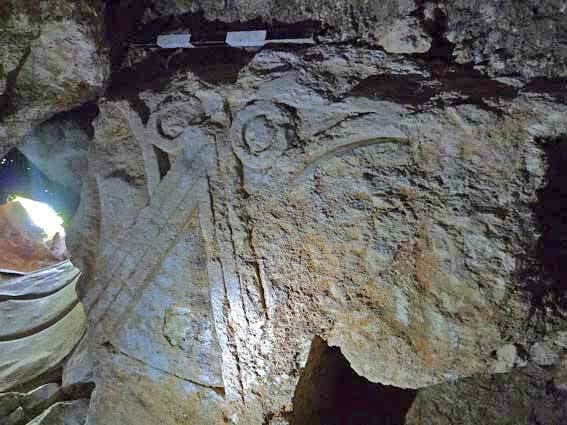 There has been lots written in the last few weeks about a Proto-Aeolic column capital discovered in situ at Ein Joweizeh, in the Refaim Valley just outside Jerusalem. 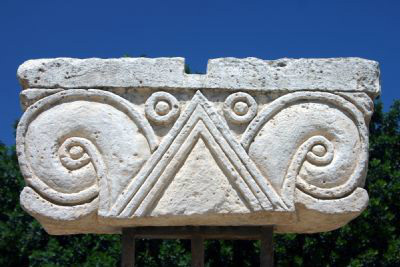 Proto-Aeolic (sometimes called Proto-Ionic) capitals have been found at many of the most important archaeological sites in Israel, including Megiddo, Hazor, Jerusalem, Samaria and Ramat Rachel (image above). Most date to the 9th-8th centuries BCE. They are considered the forerunners of the Greek Ionic order. Yigal Shiloh speculated that the volutes, a stylized motif based on the shape of a palm tree, were copied by the Israelites from the Phoenicians. 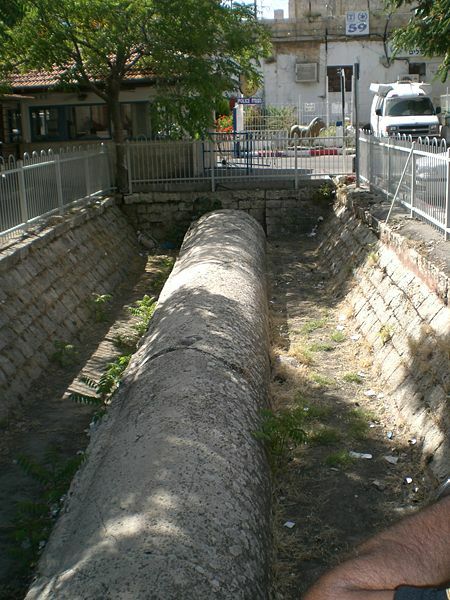 The Proto-Aeolic capital recently discovered at Ein Joweizeh ("Spring of the Little Nut" in Arabic) is a rare find because it is still connected to the column itself. It seems to have survived because it is carved directly into the bedrock several meters underground, at the opening to what is perhaps an even more impressive find: a water tunnel which dates to the First Temple Period and is the longest of its kind in the region (approx. 200 meters long). You can read an official report here. Much of the media coverage of the story has been focused on the political angle. Because Ein Joweizeh is located on the Palestinian side of the security barrier that surrounds the West Bank (this section has not yet been completed), the Israel Antiquities Authority was hoping to "let sleeping dogs lie" and did not initially publicize the find. Then all hell broke loose when the Kfar Etzion Field School announced the cover-up to the newspaper Mekor Rishon late last year. Last week the location of the capital was finally made public. Today I was fortunate enough to visit this site, thanks to my friend and colleague Maayan Leshem. We were hoping to see the capital but were disappointed to find the opening to the tunnel filled in with dirt. Apparently all the media attention that the site has been getting in recent weeks has gotten the local inhabitants of Wallajeh (the Arab village where the spring is located) quite nervous. Presumably they are worried that if archaeologists begin to excavate the site, something of major importance will no doubt turn up which will result in the confiscation of their agricultural lands. 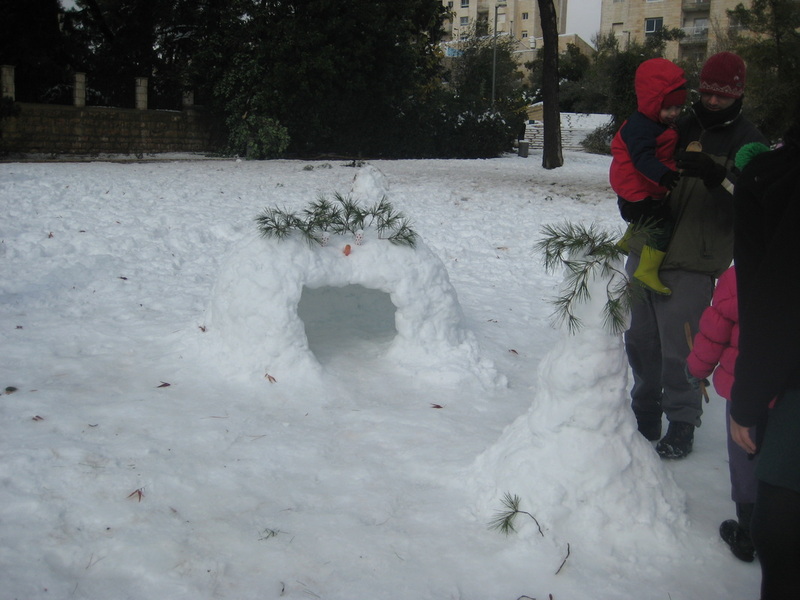 Let's hope that the Israel Antiquities Authority and the Kfar Etzion Field School are able to come to a compromise with the local residents that satisfies everyone. In addition to the Proto-Aeolic capital and the water system, there might well be remains of a royal estate or an administrative center associated with the kings of Judah dating to the 8th century. The nicely chiseled ashlars one can see distributed around the area are a good hint that something big is lurking beneath the surface. Some have even proposed that this site is ממשת (MMST), the unidentified fourth royal city found on the LMLK jar handles, the other three being Soccoh, Hebron and Ziph. 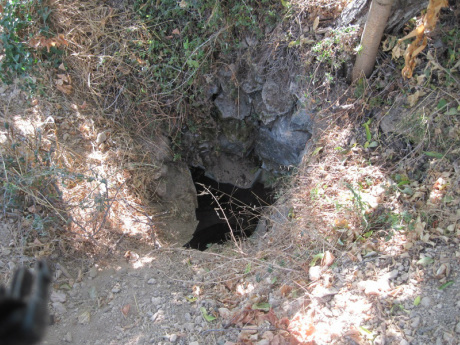 The opening to the tunnel was filled in with dirt in the last day or two, apparently by the residents of the adjacent village of Wallajeh. Photo taken Jan 26, 2014. 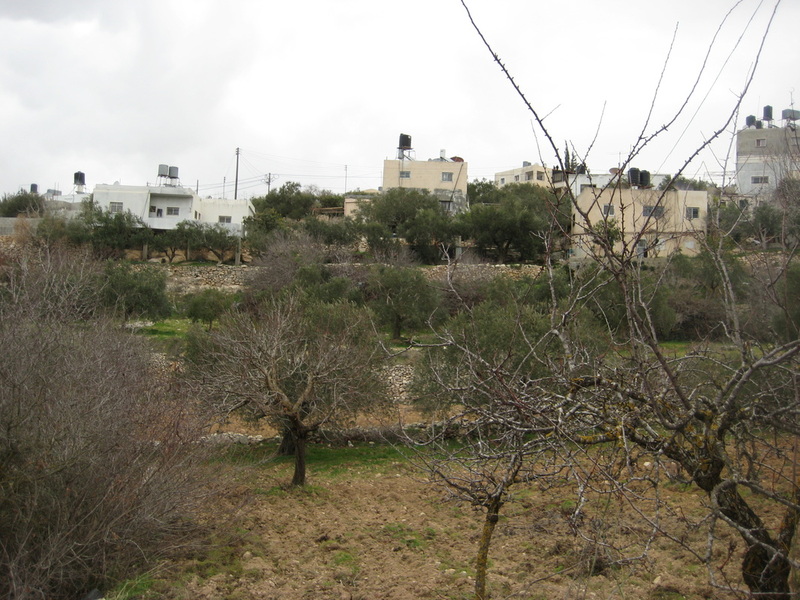 The village of Wallajeh adjacent to the tunnel opening, taken from the orchard where the tunnel begins. The blood of the slaughtered bull is divided into two portions. Half is thrown against the altar, which represents God; the other half is presumably thrown against the twelve pillars, which represent the people of Israel. The covenant between God and Israel is thus sealed by means of both parties’ symbols being bathed in the bull’s blood. In the case of a standard sacrifice, the blood of an animal is drained and thrown against the altar. People are forbidden to eat this blood because it symbolizes life (see Gen 9:4). By ritually throwing the blood against the altar, the animal’s life-force (nefesh) is restored to God (Lev 17:11). The ratification ritual here in Exodus 24 is more complex than a typical sacrifice because it involves a restoration of the animal’s life to both the Creator and to humankind. This two-fold restoration of life serves as a visceral testimony which solidifies the relationship between the two parties. But what really interests me in this passage is one particular word. The word translated here as “basins” is אגנות (aganot) in the original Hebrew, a rare word in the Bible. Normally when the priestly sections of the Torah refer to a basin for gathering blood the word used is מזרק (mizrak), literally "thrower", because it was used to dash the blood against the altar (e.g., Num 7 passim). Another common vessel found in Numbers 7 is a קערה (ke'ara) a bowl, dish or platter, from the Semitic root meaning to hollow out, make deep. 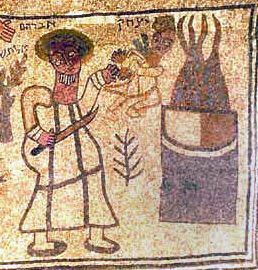 The Mishnah uses the word בזיך (bazikh) to refer to a round vessel to gather the blood or entrails of sacrificed animals (m. Pes. 5.5; m. Tam. 4.3). With so many more common terms, why does the author of Exodus choose to use the rare word אגן here? Let’s have a look at the etymology of the word and where else it appears in the Bible. The origin of the word is the Akkadian agannu, which means a bowl or cauldron. From Akkadian it made its way into several Semitic languages including: Hebrew (אגן) Aramaic (אגנא), Syriac (ܐܓܢܐ) and Arabic (إجانه). Isaiah predicts that Eliakim will replace Shebna as royal steward and compares the former to a tent-peg holding a rope to the ground from which a variety of vessels are hung. 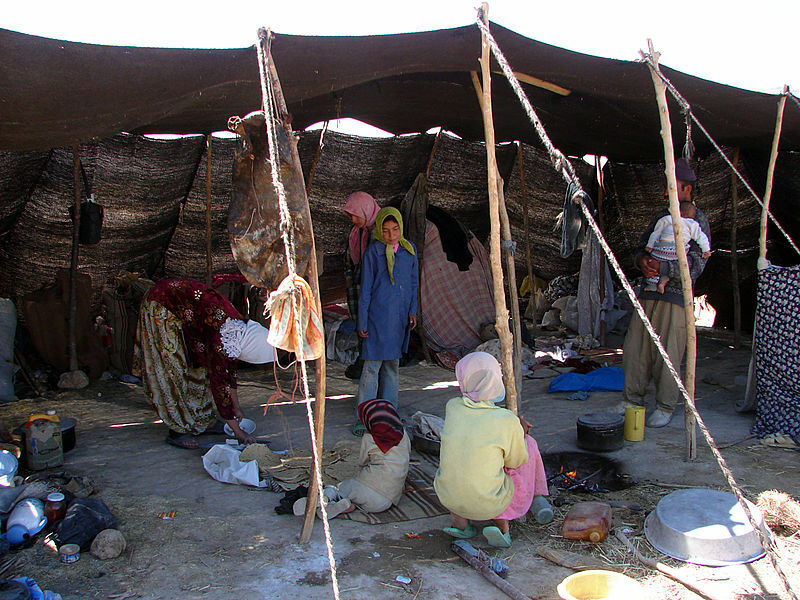 To this day, one can see vessels being hung from the ropes of Bedouin tents, as in the photograph below. Eliakim’s authority is firmly set in the ground, but because he is weighed down by his obligations to his large family (the vessels), he will eventually “be cut down and fall”. For more on Eliakim see 2 Kings 18:18. For our purposes, the important thing to note is the word אגן refers to bowl small enough that it can be hung up on a rope holding up a tent. 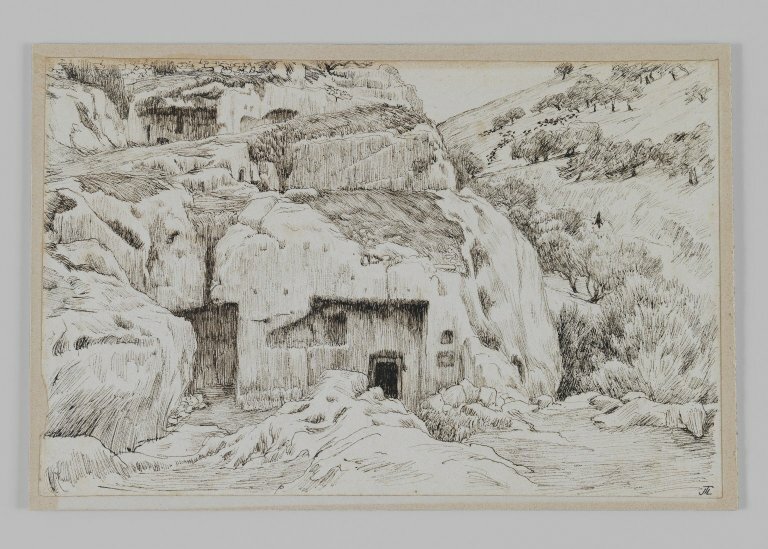 It should be noted, by the way, that in 1870 the famous archaeologist Charles Clermont-Ganneau discovered a lavishly decorated 8th century BCE rock-cut tomb in the in the village of Silwan across the Kidron Valley from Jerusalem. 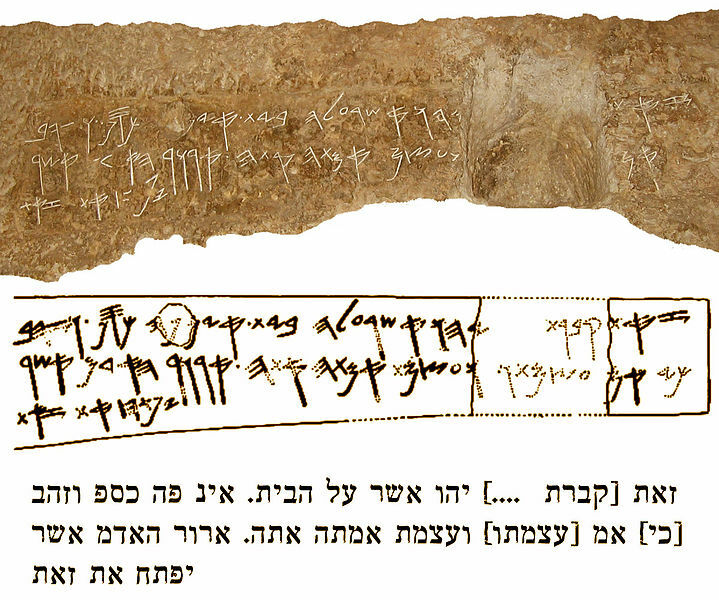 It bears an inscription which reads “This is … yahu who is the Master over the Household” (זאת... יהו אשר על הבית). See picture below. Many archaeologists believe that the missing part of the inscription contained the words “the grave of Sheban,” making this a reference to the same individual denounced in Isaiah 22:15-19. In verse 15 Shebna is referred to as “master of the household” and verse 16 castigates him for “hewing your grave on the height and chiseling your resting place in the rock”. 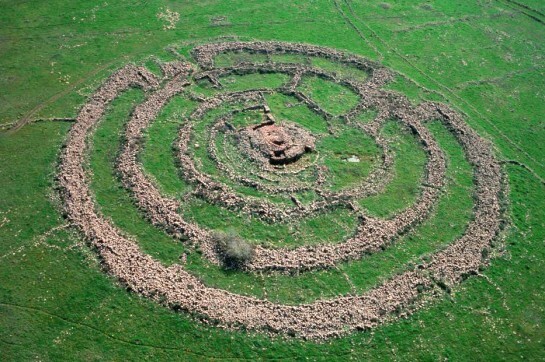 The inscription written in ancient Hebrew letters reads: "This is the tomb of...yahu the master of the household. There is no silver or gold here, only his bones and the bones of his female slave. Cursed is the man who opens this." The site of the "Tomb of ... Yahu the Master of the Household" inscription, Silwan, Jerusalem. The inscription was removed by Clermont-Ganneau and placed in the British Museum. How beautiful your sandaled feet, O prince’s daughter! Your graceful legs are like jewels, the work of an artist’s hands. Your navel is a rounded goblet (אגן הסהר) that never lacks blended wine. Your waist is a mound of wheat encircled by lilies. Your breasts are like two fawns, like twin fawns of a gazelle. Each part of the woman’s body is compared to an object found in nature. The woman’s navel is compared to a round bowl used for mixing wine. The term used here for the bowl is not just אגן - but אגן הסהר (agan ha-sahar), literally the “full moon basin”. The word סהר (sahar) which means crescent in post-biblical Hebrew, is another example of a word that comes from Akkadian: sa’ru which means ring. This verse is the only instance of the word סהר in the entire Bible. The point is that this is a two-step analogy: the woman’s navel is compared to a round bowl which is in turn compared to the full moon. λαβὼν δὲ Μωυσῆς τὸ ἥμισυ τοῦ αἵματος ἐνέχεεν εἰς κρατῆρας τὸ δὲ ἥμισυ τοῦ αἵματος προσέχεεν πρὸς τὸ θυσιαστήριον. The Hebrew word אגן becomes κρατήρ in Greek. A krater is a large bowl used to mix wine and water, as seen in the image below. This is quite different from the small bowl alluded to in Isaiah 22:24. Interestingly, the only other use of the word κρατήρ in the LXX is to translate the flower shaped cups (גביעים) of the menorah, described in the following chapter of Exodus (25:31-40). The reason that the word used in Exodus 24:6 is אגן is to distinguish the blood dashed against the altar from that that which is thrown upon the people. For the former, a "dashing-bowl" (מזרק) is sufficient; but for the latter a different vessel, something far larger is necessary. It would be inappropriate to equate the portion of blood given to God with that which is given to the people. Whereas God’s altar is bathed in pure blood, the portion reserved for the people is perhaps diluted in water in a mixing vessel used to blend wine (as seen in Songs 7:3). ארבעה ראשי שנים הם: באחד בניסן, ראש השנה למלכים ולרגלים. באחד באלול, ראש השנה למעשר בהמה; רבי אלעזר ורבי שמעון אומרין, באחד בתשרי. באחד בתשרי, ראש השנה לשנים לשמיטים וליובלות, ולנטיעה ולירקות. באחד בשבט, ראש השנה לאילן, כדברי בית שמאי; בית הלל אומרין, בחמישה עשר בו. Let us set aside Tu B'Shevat for a moment, however. I want to focus on another aspect of this mishnah, namely the connection of the first of Nisan to the first of Tishri. 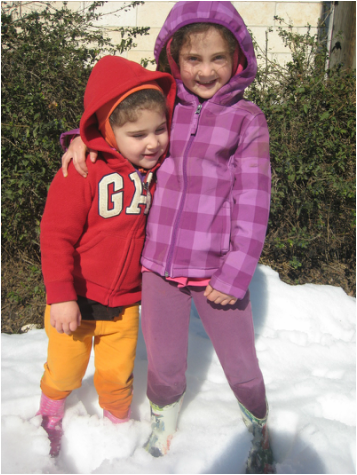 Nisan and Tishri are both more than mere months. They are packed with festive activity. Both are regarded in the rabbinic tradition as tekufot, annual quarters, a temporal designation perhaps analogous to our modern concept of seasons. 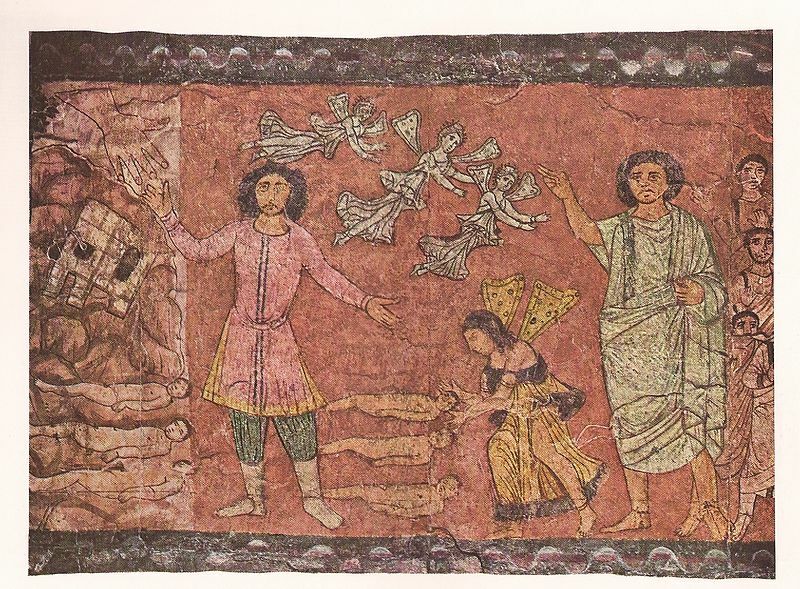 The question that interests me is what is the connection between the liturgical experiences of the Nisan season and the Tishri season? And furthermore, what does this have to do with the weekly parshah which often coincides with Tu B'Shevat, B'shalach? In the end, as we know, Tishri vanquished Nisan, and Rosh Hashanah claimed the rights to the 'Aqedah. But what about Nisan? Did it receive anything in exchange? Is there a parallel narrative associated with the Nisan season which similarly exemplifies the courage of the Jewish people to do God's will and displays God intervening in human affairs in a dramatic way? To find the answer we must look at the Torah readings for both holidays. What we find is that on both Rosh Hashanah and Pesach we read well-known narrative sequences from the Torah which culminate in a suspenseful episode in which God dramatically intervenes. As we have already said, the 'Aqedah is the reading for the second day of Rosh Hashanah. However this incident is in fact only the second half of a larger narrative (Genesis 21-22) which is read over the two days of Rosh Hashanah. The narrative is the story of Isaac's coming of age: from his long-awaited and miraculous birth, to his weaning party, to his dynastic victory over his brother Ishmael, finally culminating in God's command that he be sacrificed. Similarly, the Torah reading for Pesach is a major Pentateuchal narrative spread out over two days of the holiday (in this case, the first and seventh days), namely the departure from Egypt (Exodus 12-15): from God's command to sacrifice the paschal lamb, to the killing of the Egyptian first borns, to Israel's flight, to the encampment beside the Sea of Reeds, to the spectacular splitting of the sea, culminating finally in the Song at the Sea (“Shirat Hayam”). This, of course, brings us to this Shabbat, also known as Shabbat Shirah, because of the public reading of Shirat Hayam, which is found in parshat B'shalach. The juxtaposition of the 'Aqedah and Shirat Hayam as the climactic liturgical moments of the Tishri and Nisan seasons (respectively) is corroborated in an unexpected and yet familiar place: the daily siddur. Comprised in large part of selections from Psalms, the liturgy of the morning service contains only two extended passages from the Torah (other than the Shema, of course). These are Genesis 22:1-19 (the 'Aqedah) recited before pseukei d'zimrah and Exodus 15:1-18 (Shirat Hayam) recited after it. The fact that the authors of the siddur chose to frame the hymns of praise recited every day with these two Biblical passages says a great deal about their centrality to the daily, as well as annual liturgical cycle. Admittedly, the 'Aqedah and Shirat Hayam are not likely passages to be read side by side. First of all, they do not belong to the same genre. The 'Aqedah selection is a prose narrative, whereas Shirat Hayam is a poetic ode. The first builds up to a single moment of action, while the second describes the victorious denouement in the wake of the action. The first is terse and relies on empty space in its creation of suspense; the second is bombastic and lurid in is depiction of detail. Moreover, each passage expresses God's power to intervene in the world in a different way. In the 'Aqedah, God is elusive and mysterious. He remains in the background and when he emerges it is to display his mercy. At the splitting of the Sea of Reeds, God is front and center and the divine quality which is emphasized is physical might. In the 'Aqedah, God only enters the picture at the last second, sending an angel to hold back Abraham's hand, while at the Sea he is continuously present even if his actions are executed via a pillar of smoke/fire throughout the face-off. However, there are important similarities also. Firstly, these two texts function analogously within their respective narrative units. Both are culminating events. The 'Aqedah is the tenth and final trial undergone by Abraham, while the splitting of the Sea is the greatest miracle which tops a long list of plagues in which the Egyptians are slowly tortured but never fully trounced. More importantly, both passages are strongly connected to the same geographic location: the Temple Mount. In spite of the distinction made earlier between the urban character of Nisan and the rural provincial character of Tishri, both passages are expressly grounded in Jerusalem. In the 'Aqedah passage, God tells Abraham to go to “the land of Moriah,” a subtle yet clear reference to the hilly region where Solomon later built the first Temple (see 2 Chronicles 3:1). From a very early date, therefore, the tradition has existed that the 'Aqedah took place on the very site of the future Temples (see Genesis Rabbah 55:8). Likewise, Shirat Hayam describes God's future activity in which he will bring his people to the promised land: “You will bring them and plant them in your own mountain, the place you made for your dwelling, the sanctuary, O Lord, which your hands have established” (Exod 15:17). There are also linguistic parallels between the two passages. Both passages refer to the act of splitting, using the same verb (ב-ק-ע), in their prologues. Just as Abraham had to split the wood (ויבקע עצי עלה) before he could lay his son Isaac between the logs, so too God had to split the sea (ויבקעו המים) before he could lead his children, Israel, between the walls of water. The 'Aqedah mentions a “ram caught in the thicket by his horns” (איל נאחז בסבך בקרניו), while Shirat Hayam says “trembling seized the tribes of Moab” (אילי מואב יאחזמו רעד). The two images are quite different, nevertheless the overlapping language is quiet unmistakable. The “tribes” or “lords” of the Moabites are referred to as “rams” and their “seizure” is effected by means of the same verb (א-ח-ז) as the entrapment of the 'Aqedah ram. Rabbi Joseph Dov Soloveitchik noted that the morning prayers begin on a very optimistic note with jubilant psalms of praise, all of which use strong, active verbs (שירו, הללו, הודו). The individual is confident that through her prayers she will truly render praise to the Creator. However, by the time the worshipper is ready to begin Shacharit, her tone has grown much less confident. She has realized the impossibility of adequately praising the divine, and so the verbs in the liturgy shift into the passive tone (ישתבח). The two trajectories I have described above fit in to Soloveitchik's schema well. Before we begin pseukei d'zimrah we are self-assured, hopeful that our davening will be truly meaningful. Like Abraham, we lift up our eyes in anticipation. We are ascending to that sought after spiritual high. But soon enough, we reach a barrier. Like the Egyptians we begin to sink like lead, embarrassed by what we thought we could accomplish. God does not laugh at us. Like the children of Israel, we are ushered through the sea-bed and planted up in the highlands, in the place of God's sanctuary, the very same spot where the 'Aqedah narrative left off. Tu B'Shevat figures into this scheme too. The trees also wish to render praise to the Creator. Just as Shirat Hayam begins with the words אז ישיר משה, so too it says about the trees in p'seukei d'zimrah, אז יררנו כל עצי יער. 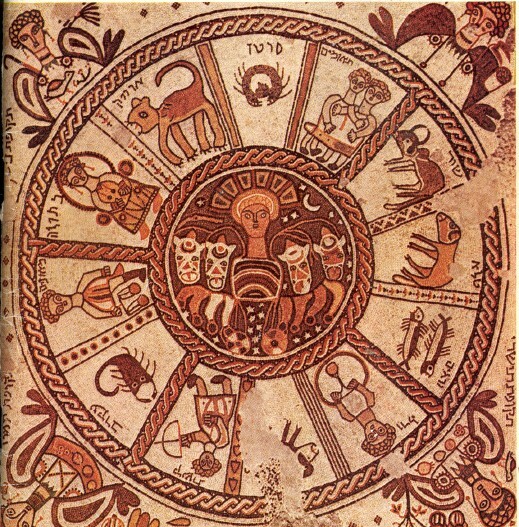 So the fact that the 'Aqedah narrative and Shirat Hayam both appear in the daily liturgy indicates that the memorialization of the two great calendrical cycles – Tishri and Nisan – is a daily matter, that each day provides an opportunity for the individual to situate himself within both the historical and the terrestrial orbits. This year we will be lucky enough to add to these the arboreal as well. The initial idea for this post came from Shalom Spiegel, The Last Trial (New York: Pantheon Books, 1967). My friend and colleague, Zel Lederman, has just launched the new website for the Israel Travel Company which he founded and owns. I am honored to have been included among the stellar guides that are on the staff of this exciting organization. Check it out. I attended an excellent performance this evening by the well-known radio personality and Jerusalem storyteller, Jacky Levy. For many years Levy has been telling stories about the old quaint neighborhoods of Jerusalem. Many of these are nostalgia-filled folktales that take place in the synagogues and shops of Nahlaot, where he lived until recently. But for the past few years, Levy has pioneered a new genre of storytelling that wonderfully restores the aggadot (legends) of talmudic literature to orality. The written Hebrew text is projected on a screen for everyone to read, but the storyteller doesn't simply read the words. He spins an elaborate tale out of the terse talmudic text. He adds dialogue peppered with modern slang. He adds contemporary allusions. He even inserts entire stories within the story. It's a bit of a meta-midrash, and it's very impressive when done correctly. This is a wonderful story for many reasons. First, it contains a strong female protagonist who behaves in a surprisingly modern manner. She enters the bet midrash to study Torah with a prominent sage instead of staying home to wait on her husband. Secondly, the wise sage has a sense of humor and is not afraid of dishonoring himself in public. His solution to the marital problem which he created is extremely clever because it satisfies everyone. Similarly, the punch line he delivers at the end is very slick. R. Meir wants to shut up his fawning disciples, so he says something shocking. He initially equates himself with God. But then he quickly turns this blasphemous statement on its head. If God is prepared to dishonor himself (by allowing an inscription containing his holy name to be dissolved in sacral water as part of the Sotah ritual) for the sake of marital peace, should not I be even more willing to dishonor myself? In Carnal Israel, Daniel Boyarin briefly discusses this story, noting that its underlying agenda is to show that "the function of the Sota ordeal was not to find out and punish guilty wives but to remove the jealousy of paranoid husbands, for this husband here is an analogue of the jealous husband of biblical times, and the spitting in the Rabbi's eye is an analogue of the ordeal" (p. 188). Boyarin is no doubt correct, but I am most interested in how the spitting works in this story. The point of the story is not that Rabbi Meir is so humble that he is willing to have a woman spit in his face. Nor is the point that Rabbi Meir considers domestic peace (שלום בית) more important than his own honor. The point is that Rabbi Meir is able to make everyone happy through his quick thinking. His brilliant solution to the couple's fight is to made possible by the multifaceted meaning of spitting in the ancient world. In the mind of the husband, spitting in Rabbi Meir's face is an insult intended to teach him a lesson for keeping his wife away from home. Meir accepts his punishment but is able to reverse the meaning of this act by re-contextualizing in medical terms. He knows that he will have to get spit at, but he transforms the insult into an act of healing. There is a slight change in the act: rather than spitting once (combatively) in his face, the woman spits seven times (ritually) in his eye. But there is no difference in language between the two kinds of spitting; in both cases the Talmud uses the verb רקק. Here too, Rabbi Meir displays great wisdom. To ensure that the husband does not figure out the ruse, Meir redefines the meaning of seven spittings. Rather than being a ritual charm, seven becomes an illustration of the woman's extra zeal to fulfill her husband's vow. So what is the lesson that can be learned from all this? Yesterday, I wondered if there is a connection between good and bad spitting in the ancient world. It appears that the answer is absolutely yes. The ancients appreciated the ambiguity of this heavily charged act and even exploited its multiple meanings for dramatic effect. Can spitting be a religious practice? 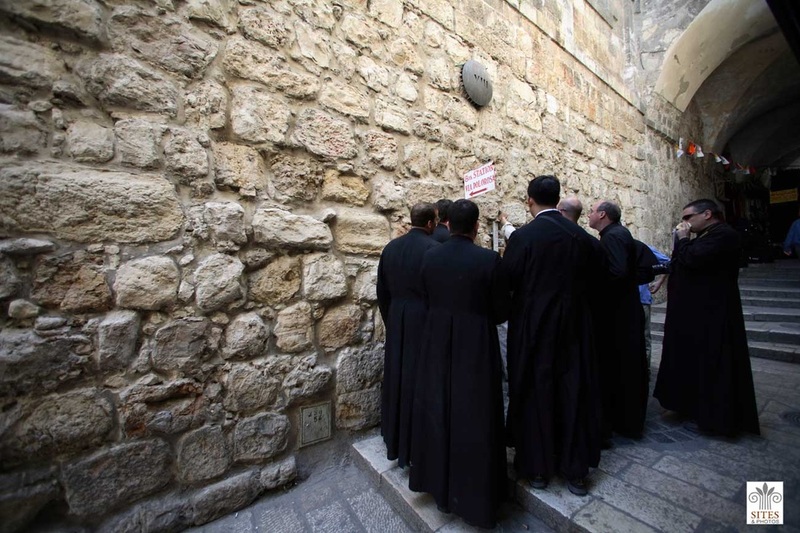 There has been much talk in the local and international media lately about the despicable behavior of religious Jews towards Christian sites and Christian clergy in and around the Old City of Jerusalem. 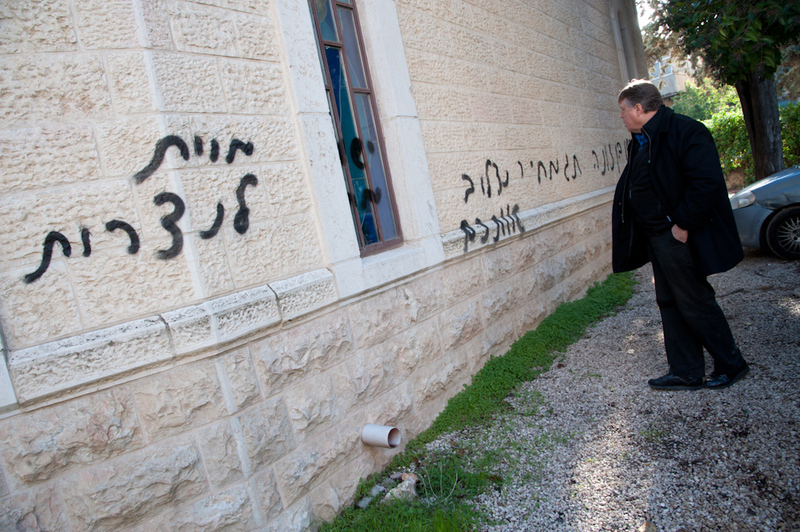 Much of this has been vandalism of property, such as "price tag" attacks in which racist anti-Christian slogans are spray-painted in Hebrew on the facades of churches. 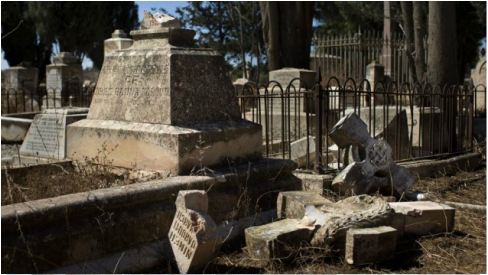 In October, dozens of tombstones in the Mount Zion Protestant Cemetery were smashed. The most infuriating behavior, however, is the routine practice of spitting at Christian clergy as they walk through the streets. While this does not seem to be a totally new practice (Chabad has been spitting during the Aleinu prayer for generations), it has certainly taken off in Jerusalem in the last few years. The phenomenon also extends beyond Christians. In 2011, the spitting by a Haredi man at a seven-year old Jewish girl in Bet Shemesh made national headlines. Unfortunately, Israelis seem much less troubled by the spitting at Christians. Christian clergy get spit at all over the Old City, but the epicenter of this behavior seems to be Mount Zion, which contains several important Christian sites (Dormition Abbey, the Cenacle, Protestant Cemetery). It is also the site of the Diaspora Yeshiva which in recent year has attracted fundamentalist "hilltop youths" evicted from the West Bank by the Israeli police. It is presumed that the latter are responsible for the upswing in spitting incidents as well as many of the price-tag attacks. All this spitting has got me thinking about the role that saliva plays in Judaism and Christianity. It's pretty obvious that today's Jewish acts of spitting directed at Christians are meant as an insult. Expectoration, like the violent discharge of other bodily fluids, is not usually regarded as an act of love. Yet there are many examples of good spitting in the ancient sources of both religions. Saliva was (and still is) believed to bring about healing, good fortune and to banish evil. Is there a connection between these two kinds of spitting? In all three passages, the verb used is πτύω, ptuo (or the corresponding noun πτύσμα), a wonderful example of onomatopoeia. Many contemporary Christians are uncomfortable with such passages because they make Jesus seem like a pagan magician. But the belief in the healing power of saliva seems to have been very deeply rooted in Jewish culture as well, as is seen in the following passages. "We have a tradition, if he is the firstborn son of his father, his saliva brings about healing; if he is the first born son of his mother, his saliva does not bring about healing." "One man said it is forbidden to apply wine to the inside of the eye on the Sabbath, but upon the eye is permitted. The other said tasteless saliva even upon the eye is forbidden." If one simply washes the outside of the eye using wine, it might not be for medicinal purposes (presumably, healthy people did this too); therefore there is no violation of the Sabbath. However, in the case of "tasteless saliva" (רוק תפל), the sages are more strict. Apparently, saliva from the mouth of someone who had not yet eaten since waking up was considered a particularly effective ointment. And because it is a medicine par excellence, it cannot be used on the Sabbath in any fashion. It is interesting that in the minds of the sages, the saliva does not need to belong to a professional healer (e.g., shaman), but simply needs to be tasteless. The Mishnah in Niddah (9:5) mentions tasteless saliva as one of the seven substances applied to a menstrual stain to determine whether it is blood or simply dye. [Some of the others, by the way, are far more caustic liquids, including: crushed-bean water, urine, natrium, lye, soil from the island of Kemolos and potash.] When the Mishnah asks what precisely תפל means, it is defined as כל שלא טעם כלום, "one who did not taste yet any food," that is, someone whose last meal was the previous day and has not yet brushed their teeth. Interesting that the foul taste which we today call "morning breath" was regarded by the sages of the Talmud as merely tasteless: neutral or unsalted (cf. Job 6:6). Also interesting is the fact that whereas Galen regards saliva as an effective healer when combined with food, both Pliny and the Talmud require that the medicinal saliva be as free of food as possible. Few modern people today use saliva as a medicine, although it should be noted that recently science has demonstrated that saliva does in fact contain wound-healing proteins called histatins. Many modern people, however, do believe that spitting will bring about good luck, or at least ward off bad luck. Baseball players have elaborate spitting rituals before they step into the batting box. Throughout the world, but especially in the Mediterranean Basin, people spit into the air three times to chase away the evil eye or the devil. This is the origin, for instance, of the phrase "tfu, tfu, tfu" that many Jews recite after announcing a piece of good news. Even Pliny talks about people in his day doing this, particularly boxers would spit in their glove to ensure that their punches would be strong. Perhaps this is the connection between good and bad spitting. Fundamentally, saliva is and was regarded as something undesirable, and the act of spitting seen as something vulgar. This is what provides its power to exorcise both demons and disease. Was Jesus born in a cave? Merry Christmas to those who are celebrating. Last night, just 5 miles from my home, tens of thousands of (western) Christian pilgrims congregated in Manger Square, Bethlehem, to celebrate Christmas. Eastern Christians will do the same thirteen days from now, on January 6, which is December 25 according to the Julian calendar. The main event last night (televised around the world) was the Roman Catholic Midnight Mass which took place in the Church of St. Catherine. 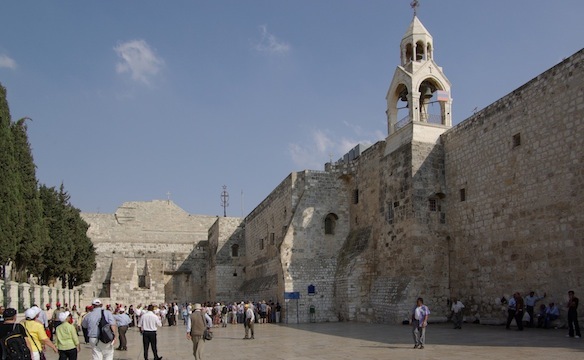 This is a Crusader structure that is attached to the real deal: the Church of the Nativity, a rare example of a Byzantine basilica in the Holy Land that is still standing. It is a magnificent building. Like the Church of the Holy Sepulchre, it was first built by the Empress Helena following her famous fact-finding mission to the Holy Land in 326-28. But unlike the Church of the Holy Sepulchre which was destroyed in 614, in 1009, and again in 1808, the Church of the Nativity pretty much looks as it did when Justinian renovated it in the 6th century. Apparently what saved it from the huge wave of destruction by the Persians in 614 were its mosaics depicting the Magi (wise men from the East), which convinced the conquerors it was not a church. Beneath the basilica is the church's raison d'être: a crypt containing the Nativity Grotto, the cave where Jesus was born. Cave? This is quite unlike the traditional images of Jesus in a wooden barn seen in nativity scenes (crèches) across Europe and North America. How authentic is the Nativity Grotto in Bethlehem? It depends on what one means by "authentic". The historical Jesus was probably born in Nazareth, not Bethlehem. The earliest gospel, Mark, refers to him many times as "the Nazarene" and contains no birth account at all. It simply assumes that he was born in the same place where he spent his childhood. The two later gospels that do contain a Bethlehem birth scene, Matthew and Luke, clearly do so to imbue Jesus with the necessary Davidic qualities of the Messiah (cf. Micah 5:1). But these two gospels do not mention the birth taking place in a cave. 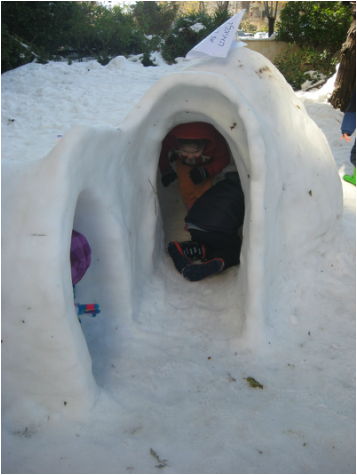 Matthew says it was in a "house", while Luke mentions "a manger, because there was no place for them in the inn." The latter is the inspiration for the barnyard nativity scenes we are used to seeing at this time of year. So in terms of real-world authenticity, this site falls short. But there is a different kind of authenticity which comes from generations of pilgrims venerating a site. Let us call this imagined authenticity. 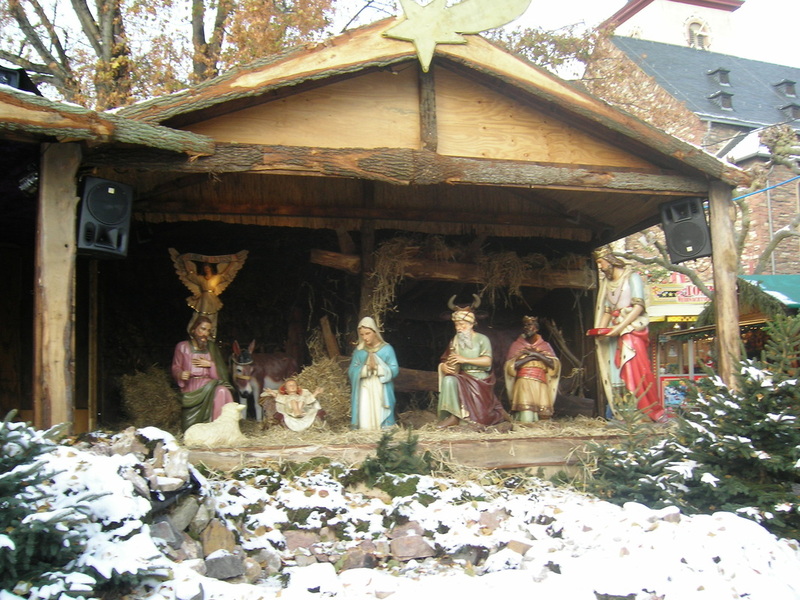 In these terms, the Nativity Grotto is as authentic as they come. Pilgrims have been coming to pray at this cave since the third century (at least). "he will live on the heights, his refuge will be the fortresses of rocks"
Fortunately for Justin, the Septuagint alters the words of this verse to read, "he shall dwell in the lofty cave of the strong rock." The use of the word "cave" (spelaion) here provides Justin with the perfect defense against the charge of Mithraism. Jesus was born in a cave not because his parents were followers of a secretive underground mystery cult, but because he is the righteous one who "can live with the everlasting burning". Justin is thus the earliest author to write about the birth of Jesus in a cave, but he does not tell us anything about the cave's appearance in his own day. Origen's testimony is striking because it seems that he has actually seen the cave that he describes. Origen spent the second half of his life (231-254) in Caesarea Maritima, the capital of Roman Palestine. In his writings he alludes several times to visiting biblical sites, each time using the phrase "it is pointed out" (δείκνυται). This seems to be Origen's way of reassuring the reader that he was given a guided tour of the place in question, so his knowledge is reliable. Very few Christians engaged in pilgrimage to the Holy Land in the 3rd century. For the most part, the institution of pilgrimage only took off after the imperialization of Christianity in the mid-4th century. The Pilgrim of Bordeaux (333) is generally regarded as the earliest Christian to visit biblical sites in Palestine and write a travelogue, known as the Itinerarium Burdigalense. But at some point in the early third century Origen toured the holy land in search of places found in the Bible. What is so interesting is that he refers to the physical place here as "another source," as though it is comparable to the textual accounts found in the Old and New Testaments. This textualization of the land reminds me very much of the idea expressed in the title of J.M.P. Otts 1893 book, The Fifth Gospel: The Land where Jesus Lived. Of course, Origen does not mention anything about the date of Jesus' birth. The complicated question of how the Church settled on December 25 as the birth date is explored here. Scriptural tattoos are a big trend in Christian America today. A lively debate is taking place among theologians over whether tattooing a biblical verse on one's body is a legitimate form of devotion or a vulgar violation of Leviticus 19:28. Popular verses include: John 3:16, Genesis 1:1, Galatians 2:20, Psalm 23 and many more. 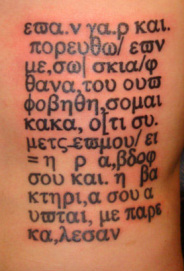 Particularly in vogue is having a scriptural tattoo in Hebrew or Greek, such as the example seen here. ἐὰν γὰρ καὶ πορευθῶ ἐν μέσῳ σκιᾶς θανάτου, οὐ φοβηθήσομαι κακά, ὅτι σὺ μετ᾽ ἐμοῦ εἶ· ἡ ῥάβδος σου καὶ ἡ βακτηρία σου, αὐταί με παρεκάλεσαν. Note, for example, that all the grave accents have been replaced with a period, and all the acute accents have become commas. Another interesting thing to notice is the word for "staff" in Greek is bakteria. When scientists first examined bacteria under a microscope in the 19th century, they saw tiny curved rods. Thus they gave it the Latin name bacterium which is a smaller version of the Greek baktron, a stick or rod. Incidentally, the long loaves of French bread known as "baguettes" are derived from the same root. Over the past year I have served as an assistant to Judith Green on the writing of a new online Biblical Greek (koine) course. It is now complete and I encourage you to check it out. The course is offered by ETeacher, a company based in Israel that has had much success teaching Biblical Hebrew and Aramaic (as well as modern languages) online to students around the globe. This newest course (30 units) on which Judith and I collaborated is intended to prepare one to begin to read the New Testament and Septuagint in the original. The language of instruction is English, but it has already been translated into Spanish and Portuguese! The course has been approved by the Dept of Classics at Hebrew University and you can even take it for academic credit if you wish. One of the things I love about this course is the way it integrates archaeology and art history into the study of language. For example, there are several opportunities to decipher real Greek inscriptions on icons, mosaics, etc. Judith, who was my first Greek teacher in the MA program at the Rothberg School at Hebrew U (2003-4) did an amazing job including real Greek passages from the Bible (mostly the Gospels) from the earliest lessons. It is really exciting to be able to understand famous passages (such as the Lord's Prayer or the prologue to the Gospel of John) in the original Greek. Check it out! The historic snowstorm of 2013 has finally ended. 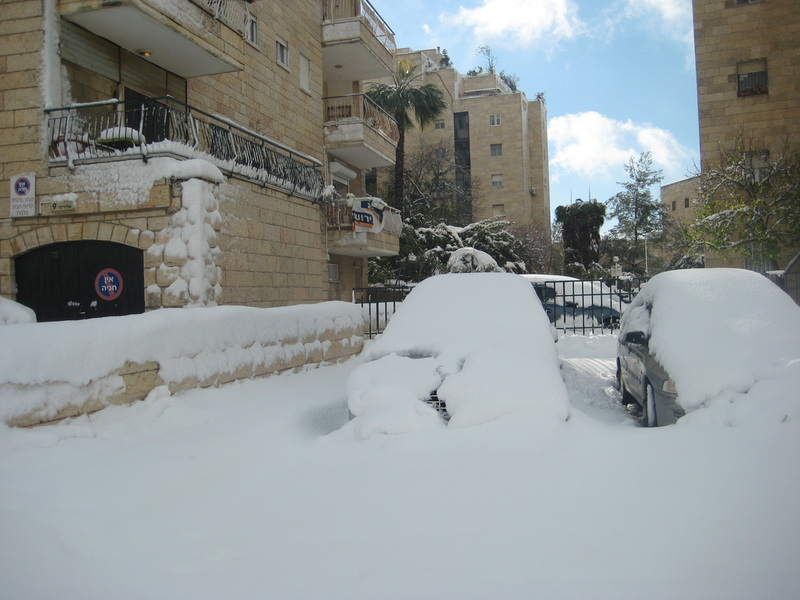 All in all, our corner of Jerusalem (750 meters above sea level) got hit with 60 cm of snow over three days. 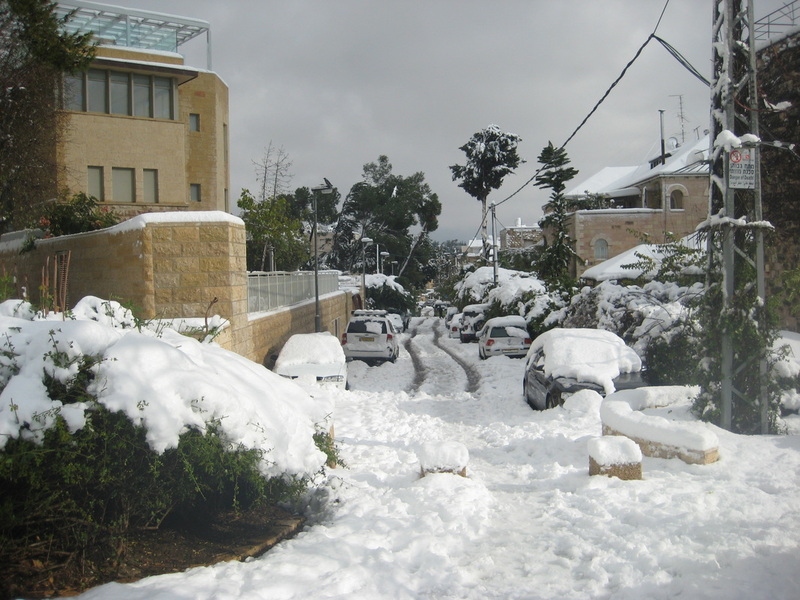 Neighborhoods at a higher elevation (e.g., Mt Scopus and Gilo are both above 800 meters) got closer to 80 cm. 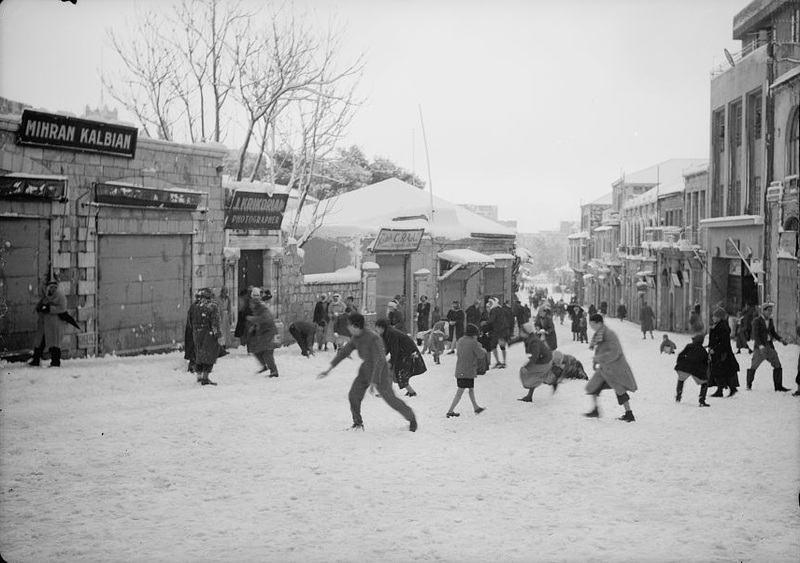 The last time this much snow fell in Jerusalem was February 5, 1950 (50 cm). 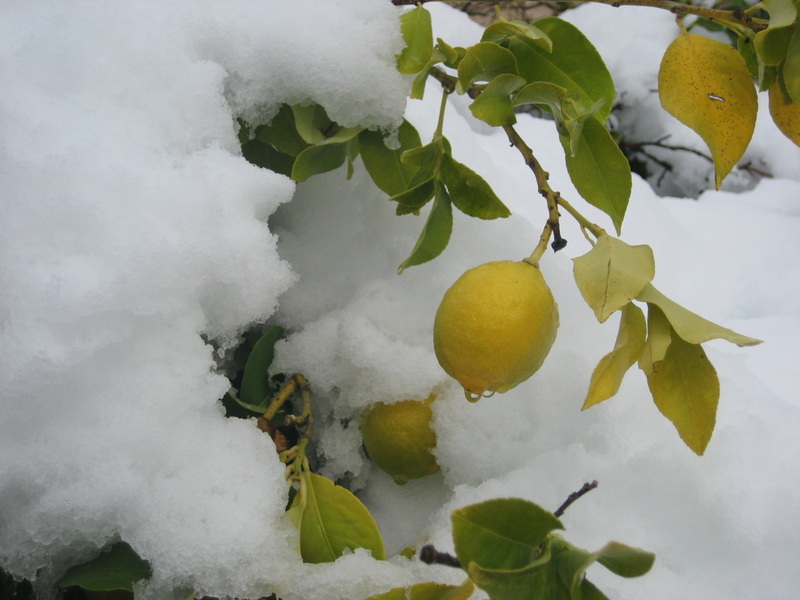 The last time a significant amount of snow fell this early in the year was December 15, 1878 (43cm). 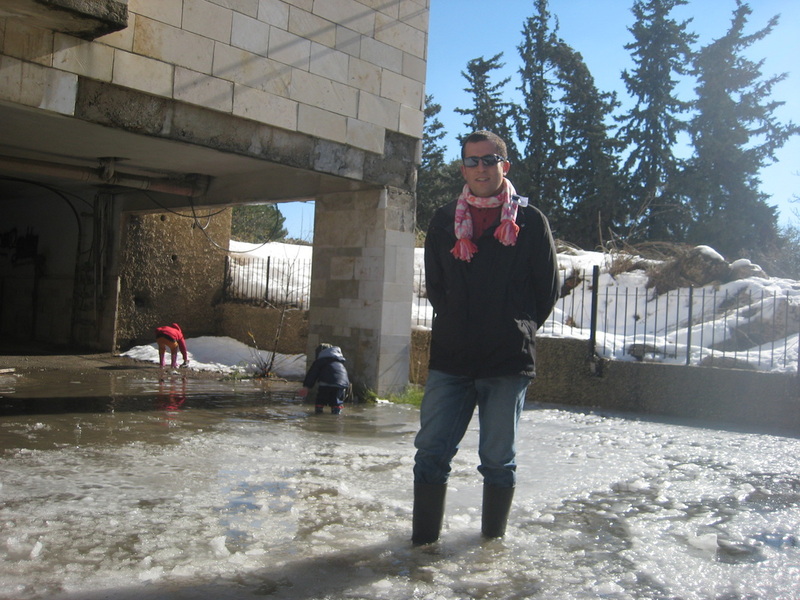 It is unusual for big snowstorms to hit Israel in December because the Mediterranean Sea is still relatively warm. 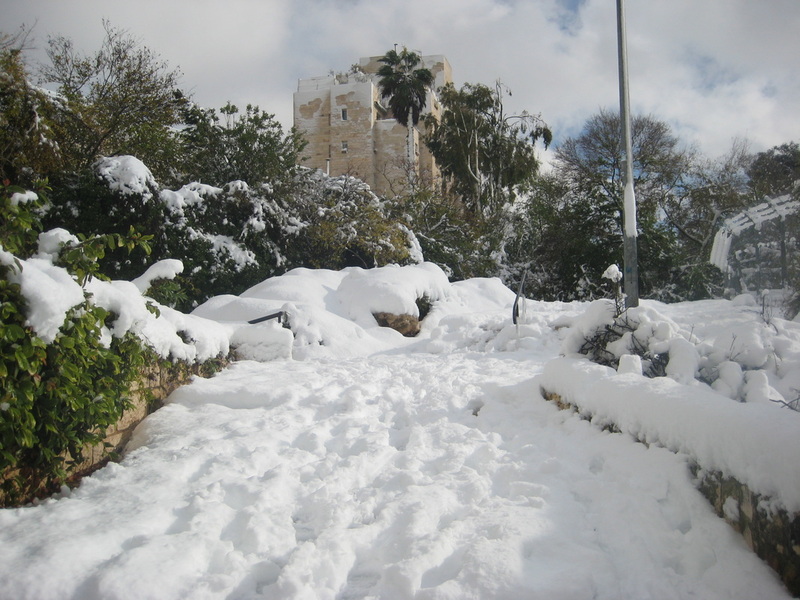 The all-time Jerusalem snow record, since they began keeping records? February 9, 1920 - 98 cm! 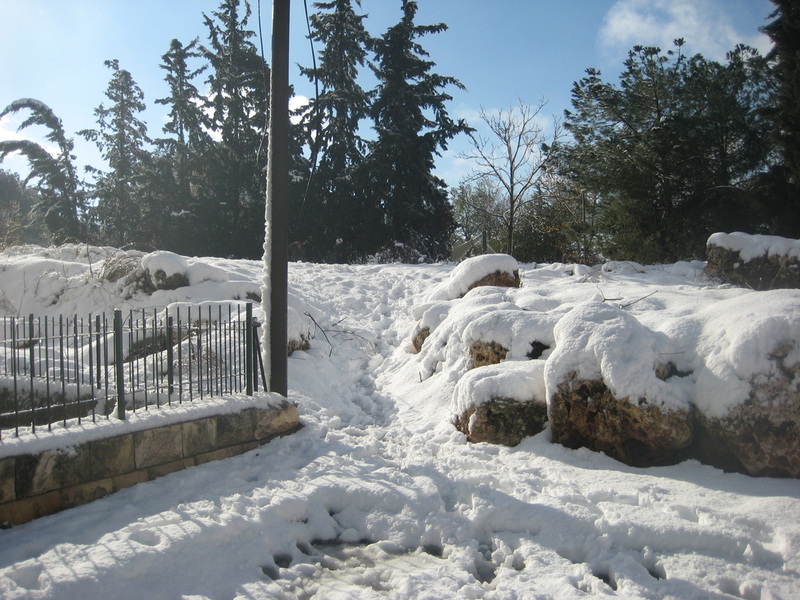 This is known as the "Snowstorm of Tel Hai" because it took place a few days (March 1) before the famous Battle of Tel Hai in which Joseph Trumpeldor was killed. This battle was the first major incident of the Arab Riots of 1920. Usually this considered the formal opening of the Arab-Israeli conflict which is still going on today. Wouldn't it be poetic if the end to this century long war were brought about by an extraordinarily plentiful snowfall just as its beginning was? Here is a picture of Jaffa Road from February 9, 1920. 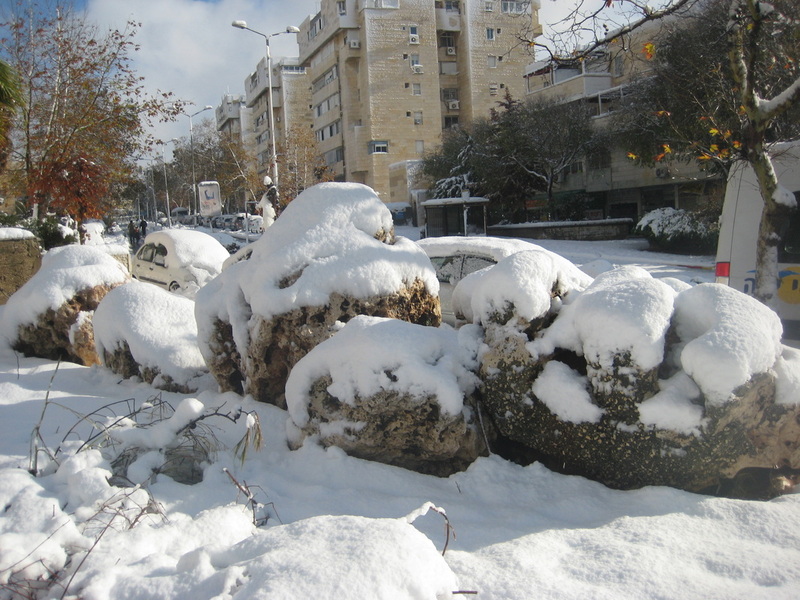 Although it has been over 48 hours since the snow stopped falling and the temperature is currently 8 degrees C, much of the city is still paralyzed. Schools are closed for the fourth day. Lots of people are still without electricity. Public transportation is intermittent. The major problem? Ice. During the day the strong sun melts the snow (which for the most part has not been properly cleared) and at night it freezes again leaving the roads covered in a vicious sheet of ice. Without snow tires, there is simply no way to drive up a hill like the one pictured above, right outside my house. By 11am everything is pretty much melted and life goes on as normal until the sun sets at 4pm and the cycle starts over again. Until a real warm front of air moves in, it does not seem possible to break the cycle. The bigger problem behind all this is of course lack of equipment. The city does not have enough snow plows to clear small side streets like ours. Individuals do not own snow shovels with which to dig out their cars. Most people don't even own a decent pair of winter boots. It's a big dilemma which many politicians are discussing now. 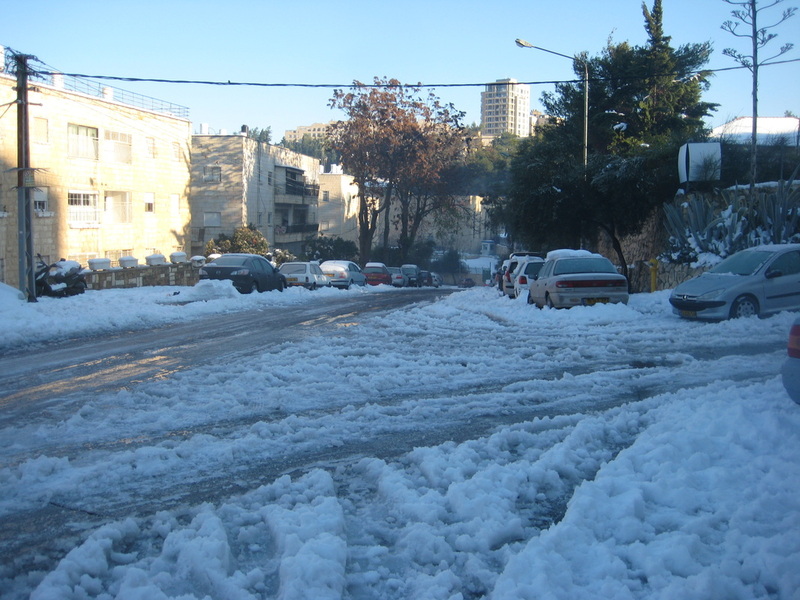 Does it make financial sense for Israel to spend big bucks preparing itself for 60 cm of snow even if this only happens once every 50 years? 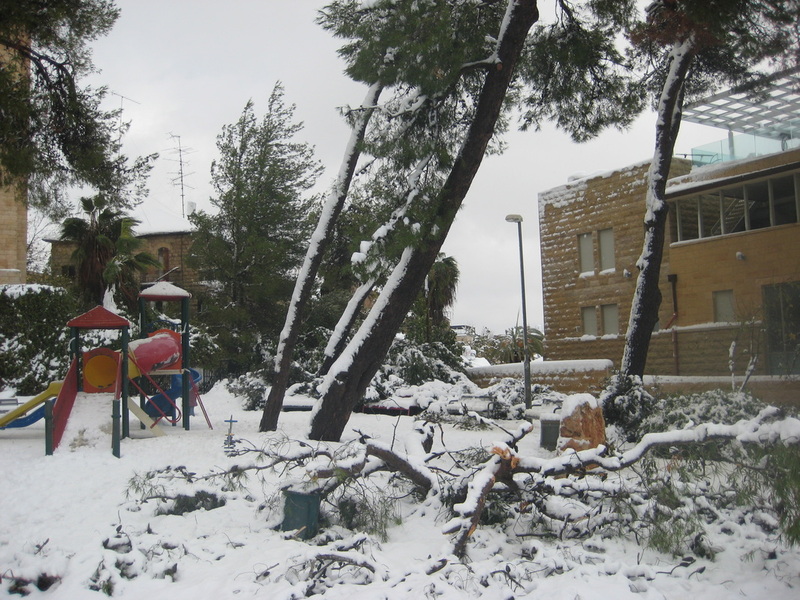 Jerusalem is currently getting hit with a major snowstorm. Over the past two days 30 cm have fallen, the largest amount for late December on record. All the main roads to the city are currently closed and many people are stranded. Lots of power outages. 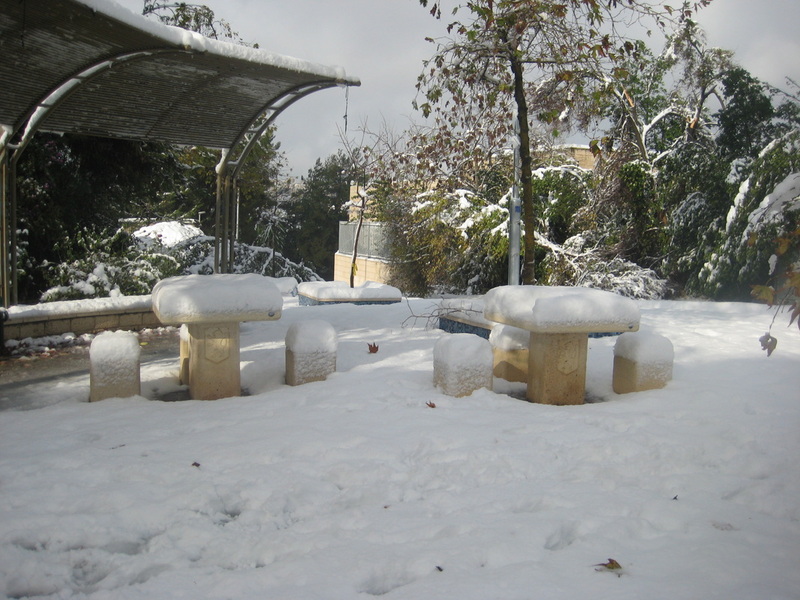 But here in our neighborhood of Katamon everything is rather tranquil. Shabbat Shalom. What does Daf Yomi have to do with the Daily Show? Despite all the recent talk of the Hebrew Bible being the “Book of Books,” it is well known to anyone who has studied Judaism that the Bible has been taking a back seat to the Talmud for well over a thousand years. Rabbi Adin Steinsaltz, whose numerous popular introductory books to the subject are bestsellers, calls the Talmud “the central pillar supporting the entire spiritual and intellectual edifice of Jewish life.” To the uninitiated, the Talmud (and here, I mean the Babylonian Talmud) is a strange book. Firstly, it is not one book but a set of 37 books (called “tractates”) containing over 2.5 million words spread across 6000+ folio pages. 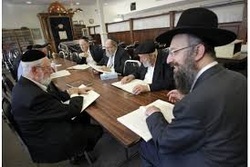 Secondly, unlike most contemporaneous literature from other religious traditions (e.g., the writings of the Church Fathers, the Qur'an) the Talmud is not a theological tractate or revealed prophecy or even a law code written by a single person. Rather it is an anthology of statements, sayings, aphorisms, legal opinions, and stories attributed to a plethora sages who lived over a 500 year period. It is eclectic, given to wild tangents and wonderfully free within a fixed structure. Mostly it is a running conversation, and much has been written about how this genre gave rise to a democratic impulse in Judaism. The problem is that the conversation is not real. Open any page of the Babylonian Talmud and you will quickly see that this is not at all a natural dialogue which actually took place in a bet midrash some 1700 years ago. This is not a direct transcription of the oral proceedings that took place in the celebrated Babylonian yeshivot. How can it be that sages who lived hundreds of years apart can talk to each other? How is it that someone always happens to have a baraita on hand that precisely controverts the dominant view in the room? This sense of an “imagined conversation” reminds me of a screenplay which tries to go for realism but where the dialogue is a bit too good to be real. People don't talk like that in real life. You enjoy the story on the screen, but at no point do you forget that this is fantasy. Part of what makes the Babylonian Talmud fascinating is this element of fantasy. The fantastic Talmudic conversation flows smoothly by means of editorial additions and interpolations made by the redactor of the text. The Jerusalem Talmud did not undergo the same careful scripting and therefore is much choppier. The anonymous editorial voice in the Babylonian Talmud is thought to date to the 6th century CE and is known by scholars as the Stamma d’Gemara, or simply the Stam (which means something like the passive, neutral one). This is a term coined by David Weiss-Halivni in the 1980s and has become widely accepted in the academic study of the Talmud. A few months ago, while watching Comedy Central, it occurred to me that there is something very Talmudic about the style of the Daily Show. 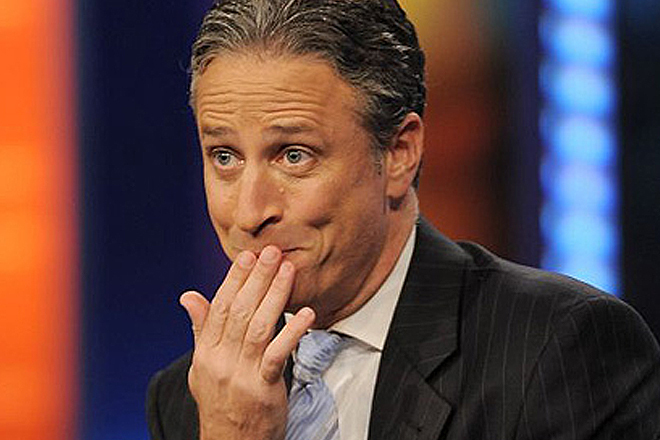 Jon Stewart is neither a traditional stand-up comedian nor is he a mere parody of a newscaster. He is a comedic redactor of the official news. What makes the show brilliant is that Stewart knows how to play the role of the Stam masterfully. Note that his jokes always begin with a clip from one of the cable news channels (usually Fox), and he basically referees an imagined conversation between these clips. He carefully sews these clips together with editorial introductions: “…of course, that did not prevent her from saying the following...” The humor comes about through the skillful arrangement of these clips as well as Stewart’s cunning interpolations between them: a grimace, an impersonation, a flippant comment. For example, the devilish smile he flashes when he asks really?... akin to the Talmudic איני?. I especially love the comic device that Stewart often uses where he supposedly receives a message from his producer through a hidden earpiece: “Excuse me one second. What? Oh, I am being told that…” These intrusions almost always serve the same purpose: to undo an erroneous editorial assertion made by Stewart himself. When he goes too far to agree with a radical position, the earpiece informs him that he needs to swing back to the center. It works because it is invisible and unheard. This is almost like the Talmud’s bat kol that announces the truth from on high. Life of Brian, a serious film? Absolutely! Since taking David Brakke's freshman seminar "Images of Jesus in Western Culture" at Indiana University in 1998, I have known that Monty Python's Life of Brian is much more than an irreverent comedy. I would certainly say that it has strongly colored my understanding of life in first century Judea. Similarly, it has impacted my view of the historical Jesus. I would even say that (for better and for worse) Brian is always looming somewhere in the background whenever I study anything having to do with Greco-Roman antiquity: the gospels, Josephus, Herodian architecture ... and naturally, Latin grammar. The witty, insightful exegesis of thorny gospel passages such as the sign of Jonah (Luke 11:29), which in the film is a gourd (cf. Jonah 4:6 kikayon is translated as "gourd" in the KJV). Davies terms this "comic midrash". Among tour guides in Jerusalem, one of the most memorable parts of the film is of course the scene towards the beginning ("Saturday Afternoon, About Tea Time") where Brian watches Jesus deliver the Sermon on the Mount from afar. It is here that a member of the crowd mishears "blessed are the cheesemakers" instead of "the peacemakers". When one bystander asks "what's so special about the cheesemakers?" her husband, an aristocratic Hellenized Jew, nonchalantly answers: "Well, obviously it's not meant to be taken literally; it refers to any manufacturers of dairy products." This one line has to be one of the most concise illustrations of trends in biblical interpretation in Jewish antiquity. As Davies notes, "cheesemakers" is clearly a reference to the Tyropoeon Valley (τυροποιῶν = in Greek) which bisects Jerusalem's Old City, separating the lower eastern ridge (Mt Moriah) from its higher western counterpart (Upper City). This central valley was the commercial heart of Jerusalem in the Second Temple Period, as can be seen from the impressive remains of shops which have been excavated south of the Western Wall, beneath Robinson's Arch (see image below). The Tosefta's reference to the "lower marketplace" (השוק התחתון) might preserve a memory of this area as well (t. San 14:14). The valley begins outside the Old City in the vicinity of the Musrara neighborhood, running southeast toward the walls of the Old City and entering the Damascus Gate. At this point, it turns due south and cuts directly through the Muslim Quarter all the way to the Dung Gate. It skirts the eastern side of the City of David, eventually joining the Kidron Valley, which runs down to the Dead Sea. Today, the Tyropoeon Valley is hardly recognizable. Unlike the impressive Kidron and Ben Hinnom Valleys which circumscribe the Old City, there is little to be seen of the humble Cheesemaker's Valley. Over the centuries it has become almost completely filled in with debris and buildings. 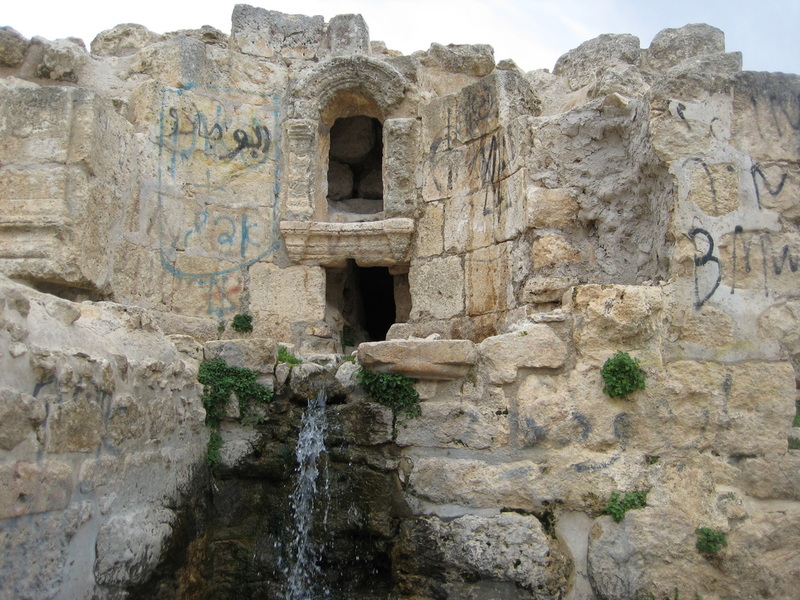 In the Ayyubid and Mameluk periods many homes and public institutions (i.e., mosques and madrasahs) were built upon vaults that spanned the valley in order to be as close as possible to the Haram al-Sharif. 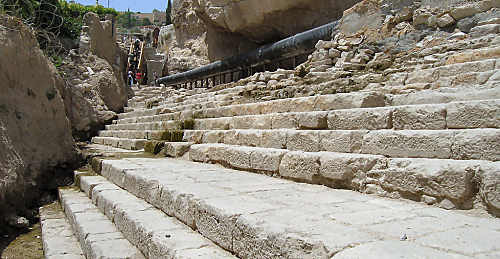 These massive constructions made it possible to access the Temple Mount by means of numerous east-west streets (e.g., Suq el-Qattanin, Tariq Bab el-Silsila) without ascending almost any stairs. So where is the Tyropoeon today? It mostly runs deep beneath the main north-south artery of the the Muslim Quarter that runs from Damascus Gate to the Western Wall Plaza. The name of the street - Tariq Al-Wad / Rehov HaGai (= The valley street) - preserves a memory of the original topography of the city. We have Josephus to thank for coining the phrase in his famous description of the geography of the city (Jewish War 5.4.136-141). He does not explain his use of the term and it is not corroborated in any contemporaneous texts. Its meaning has puzzled generations of scholars. A convincing theory has been offered by the eminent Jerusalem archaeologist Dan Bahat. He thinks that the original name was the Valley of the Silversmiths, which makes sense given the archaeological evidence for commercial activity here. In Hebrew this would have been עמק הצורפים. Τransliterated into Greek, צורפים became τυροπιμ = Tyropim, which has no meaning whatsoever in Greek. Later, a copyist altered Tyropim to τυροποιῶν = Tyropoeon, which means "cheesemakers". This is a far more picturesque name for Greek audiences and it has stuck to the present day. Interesting to ponder what would have happened had Josephus chosen to translate the name to ἡ ἀργυροποιών φάραγξ. Monty Python would have had to find another beatitude to poke fun at. The Hebrew word בריא usually means 'fat' in the Bible. It is often used with regard to fattened animals and is juxtaposed with the word רזה 'thin' (Gen 41:2; Ezek 34:20). In Modern Hebrew it means 'healthy', which maybe tells us about what the ideal body-type was in the late 19th century when Hebrew was revived. Most translations of Judges 3:17 understand the word בריא to mean "fat"
The use of the word ἀστεῖος is surprising. It comes from the word ἄστυ which means city in Greek. So apparently, the translator is trying to convey the idea that Eglon was an urbane, sophisticated man. Perhaps refined, elegant, polite or even handsome? Why would the LXX use this word? Why depict Eglon in a positive light if he is the villain of the story? Moreover, the image of Eglon's fat belly seems so important for setting the stage for the dramatic stabbing that follows. Finally, the word ἀστεῖος is used elsewhere in the LXX to refer to decidedly virtuous figures: Moses (Ex 2:2), Eleazar the martyr (2 Macc 6:23), Judith (Jud 11:23). Maybe this last reference is the key to understanding the use of the word. Perhaps the story of Ehud's killing of Eglon is meant to remind us of the story of Judith's killing of Holofernes (Judith ch. 13). Of course, if the parallel were perfect it would be Holofernes not Judith who would be called ἀστεῖος but intertextuality is not a game of precision. It is meant to drop hints that hopefully provide the reader with a deeper understanding. It should be added that the LXX translation of Judges 3:17 should be seen as part of a post-biblical rehabilitation of Eglon/Moab. 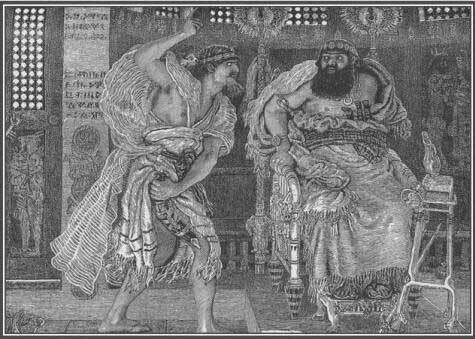 This can be seen in Ruth Rabbah 2:9 where Eglon is depicted as the ancestor of Ruth (and therefore of David) due to the fact that he stood up to hear the news from God that Ehud claimed to have (3:20). What is the big deal with Judas' betrayal? 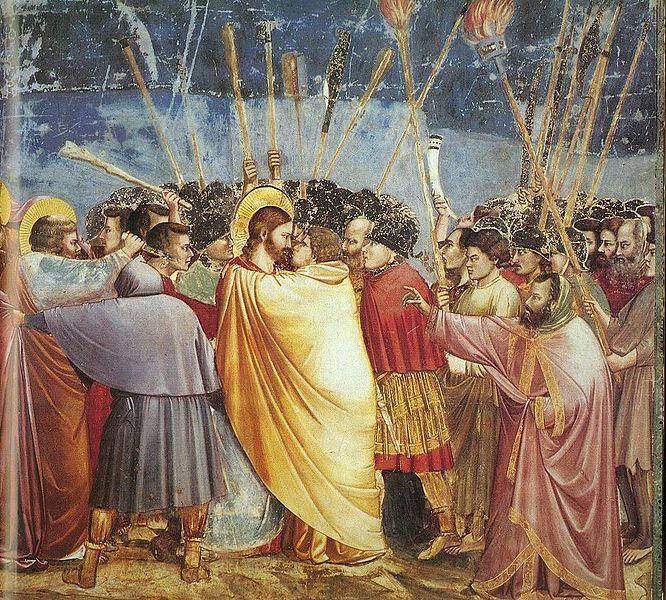 Judas Iscariot's betrayal of Jesus is one of the famous passages in the NT that fueled anti-Semitism over the centuries. But was Judas really the key to Jesus' arrest and eventual crucifixion? Couldn't the Romans have found Jesus without Judas? Some scholars think that Judas' crime was not just that he physically led the Romans to Jesus but that he divulged insider information about Jesus' teachings. For example, Jesus never refers to himself as the "Messiah" or the "King of the Jews" in his public teachings (usually just the "Son of Man"). All throughout the Gospels he is careful to walk a thin line: he is very good at staying out of explicit trouble while preaching a dangerous anti-establishment message. Perhaps in public he limited himself to topic related to social justice (e.g., Sermon on the Mount), healings and other miracles; but among the inner circle of 12 disciples he taught more apocalyptic themes, and alluded to himself as the Messiah or king of the Jews. When he is on trial before the Sanhedrin and later the Romans, these two titles are exactly what he is charged with. Could it be that Judas is the one responsible for revealing this information? Just a theory, but I find it quite convincing. In my opinion, more interesting than the question "what really happened?" is the question"what is the significance of events to the author/reader of the text?" The point is that Judas is a symbol for the rejection of Jesus by the entire Jewish ("Judaic") people. As we know, the gospels were written a few generations after the events they depict. By this point (circa 80 CE), the Jesus Movement had been pretty strongly condemned within rabbinic Judaism. Remember all the nasty things the rabbis had to say about the "minim" in the Mishnah? By this point, it was pretty clear that rabbinic Jews were not going to convert en masse to become messianic Jews. Instead, the Jesus Movement (by now we can call it "early Christianity") would have to abandon the Jews altogether and invest itself entirely in the Gentile mission. So Judas becomes a lesson to the Gentile audience hearing the gospel - this is why the Jews are no longer the chosen people. It's not because they crucified Jesus (obviously the Romans were the only ones able to do this); it's because they stubbornly failed to accept Jesus as the Messiah and therefore facilitated his death. 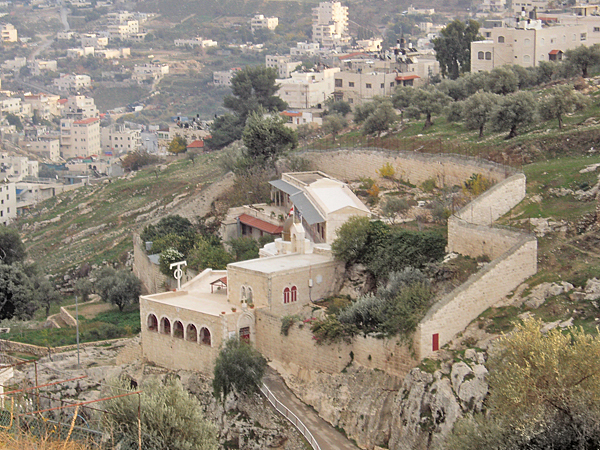 The Greek Orthodox Monastery of St Onuphrius, located in the Ben Hinnom Valley southwest of the Old City of Jerusalem. This is the traditional location of the Potter's Field purchased by the Temple authorities with the 30 pieces of silver that Judas returned to them (Matt 27:3-10). According to the book of Acts, Judas himself purchases the plot and commits suicide there (Acts 1:18-19). In both versions the site is renamed the Field of Blood: Ἀγρὸς Αἵματος or Ἁκελδαμάχ which means 'field of blood' in Aramaic חקל דמא. Why is Pater Noster not on the Mount of the Beatitudes? 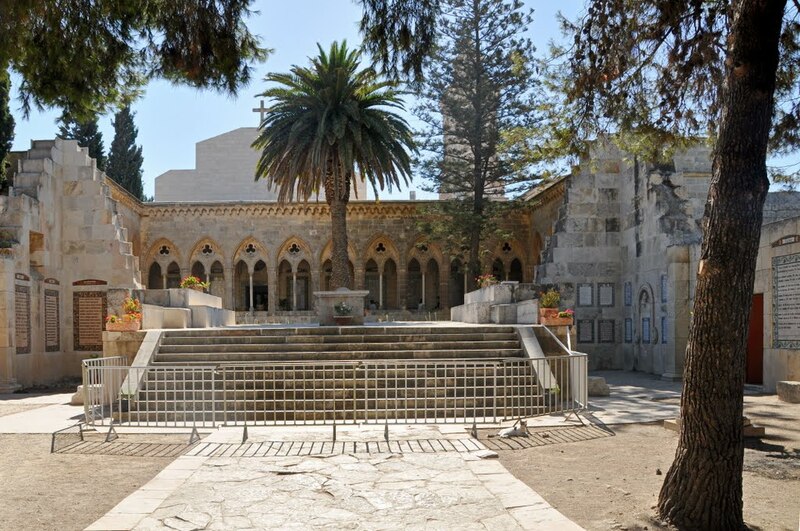 One of the beloved Christian pilgrimage sites in Jerusalem is the Pater Noster Church located on the Mount of Olives. This is (according to Catholic tradition) the site where Jesus taught his disciples the Lord's Prayer, and you can find the prayer in 143 languages on tiles on the walls. But shouldn't it be located on the Mount of the Beatitudes above Capernaum, where the Sermon on the Mount took place? In the gospel of Matthew the Lord's Prayer is part of the Sermon on the Mount (chs 5-7), but in Luke there is no such sermon. Instead, Luke takes all the material from Matthew 5-7 and sprinkles it throughout his gospel. Luke's version of the Lord's Prayer is in ch 11. Although he does not specify where this happened, the previous scene (ch 10) takes place in the house of Mary and Martha, who live in Bethany on the Mt of Olives. The earliest church on this site, was not actually connected with the Lord's Prayer. The Eleona (ἐλαιών - olive grove in Greek) commissioned by Queen Helena in the 325 was meant to commemorate another teaching of Jesus, the so-called "Synoptic Apocalypse" (Matthew 24, Mark 13, Luke 21), which Jesus recites after leaving the Temple and looking out at the buildings. Today, this apocalyptic teaching is more connected with the church of Dominus Flevit (technically, the relevant passage there is Luke 19:39-44). 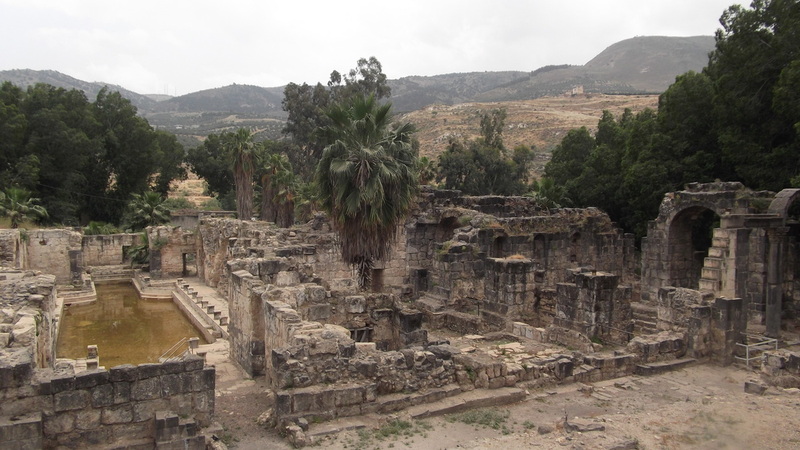 Sometime after the arrival of the Crusaders in Jerusalem, the site of the Eleona church (destroyed by the Persians 614) changed its tradition; still the location of Jesus teaching, but no longer the Apocalypse, instead the Lord's Prayer. The support for this comes from Luke 11, as explained above. So again, the question is not "where did Jesus really utter the Lord's Prayer for the first time? ", but rather "which Gospel (Matthew or Luke) wins when we try to put together a map of Jesus' ministry?" Luke wins out probably because since the industry of Christian holy sites got started 1500 yrs ago, one of the guiding principles has always been to spread the wealth. If there are two competing traditions, sanctify them both. Why should a lone hill near the Sea of Galilee get all the glory? Moreover, the Crusaders were very interested in making Jerusalem the strong, holy center of their kingdom. Importing the Lord's Prayer from the Galilee to the Mt of Olives was a good way of adding prestige to the city that otherwise is mostly connected to Jesus' death. An artist's representation of the 4th century Eleona Church based on pilgrim's accounts (i.e., Egeria in 384) and archaeological remains uncovered in the early 20th cent. Today the Pater Noster Church is administered by the Carmelite order and belongs to the government of France. I attended a discussion about anti-Judaism in the Gospel of John at the Van Leer Institute on Tuesday evening. Inevitably, the discussion turned to one of the really caustic verses in the gospel -- John 8:44, where Jesus tells the Jews "you are of your father the devil." One of the participants asked what the difference is between the term διάβολος used here and σατανᾶς used elsewhere in the NT. I just looked into this and did not come up with much. The first term διάβολος (from which our 'devil' comes) comes from the Greek verb "to slander" (διαβάλλω) and is definitely more common in the Septuagint as a translation for השטן. The second term σατανᾶς is obviously from the Hebrew (or more likely the Aramaic סטנא) and is a NT innovation apparently. Because it is Semitic sounding, the second might appeal more to authors such as Matthew, who likes to use Jewish terminology to give their gospel an "authentic" flavor. For example, in the story of Jesus' temptation, Matthew and Mark both use σατανᾶς, while Luke, the responsible Greek historian, changes it to διάβολος. But this is not a strong argument since σατανᾶς appears 36 times in diverse places in the NT (including Luke) without any kind of consistency (e.g., 2 Cor 12:7, Luke 10:18, 1 Tim 1:20 Rev 2:9). One very interesting use of διάβολος is found in John 6:70 where a human being (Judas) is referred to as the devil, but this is quite unique. So the best I can say is that the two words are synonymous. They both mean the adversary, the enemy, the one who accuses the human race before God. This is very much in line with the image of השטן found in the Hebrew Bible (Job 1 and Zechariah 3). The short-lived (1969-70) CBS cartoon show Dastardly and Muttley in Their Flying Machines had a different title in France.